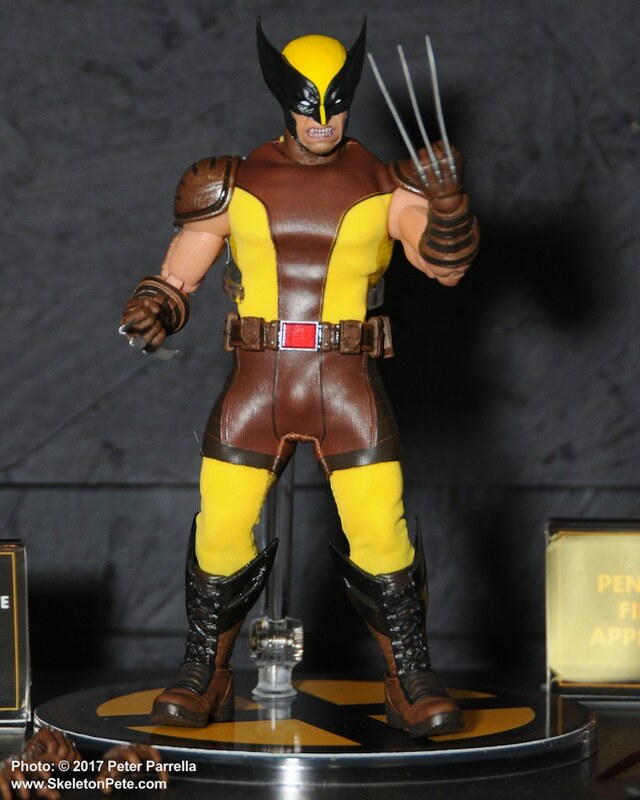 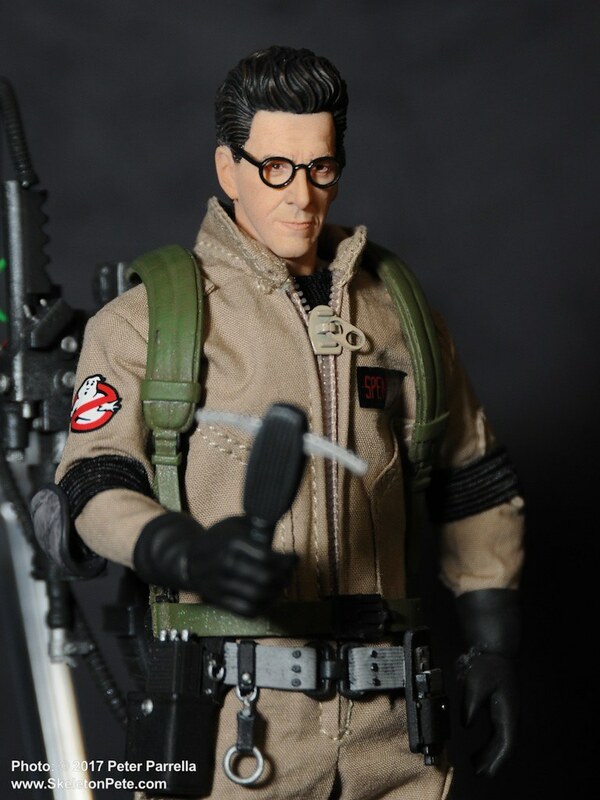 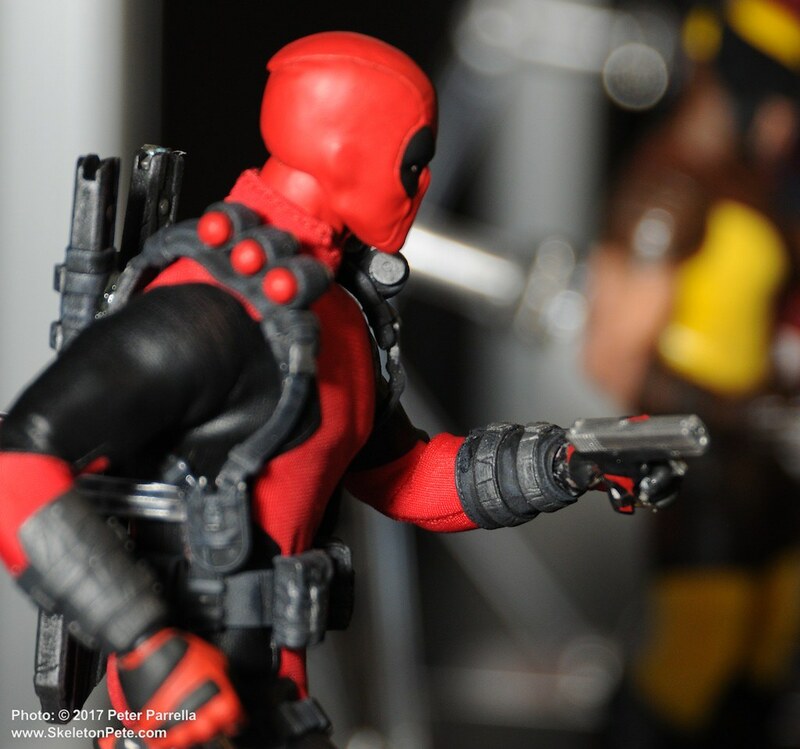 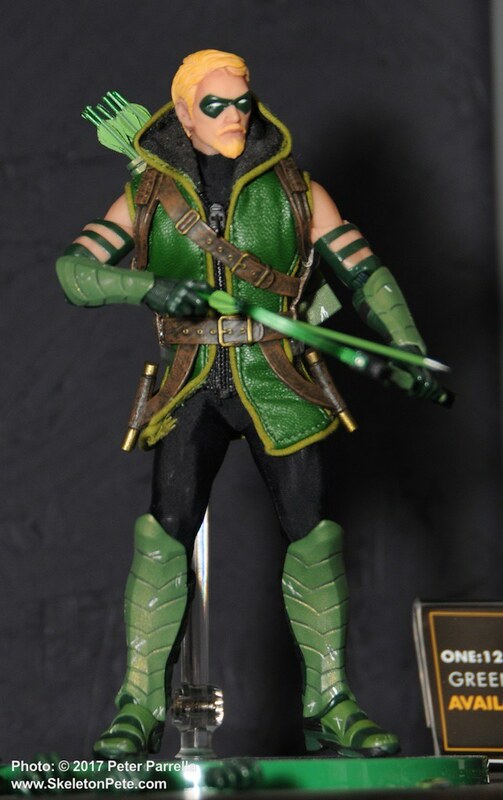 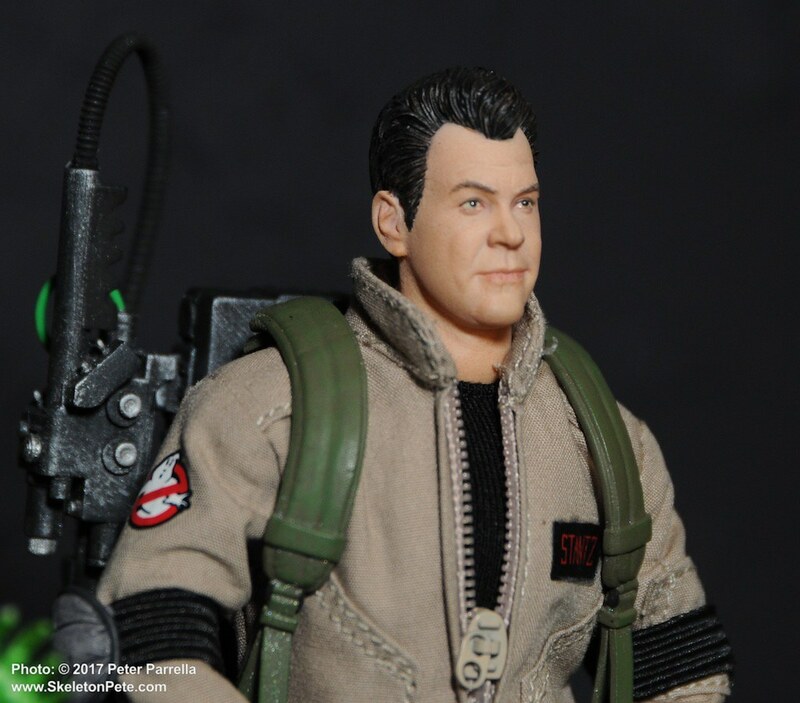 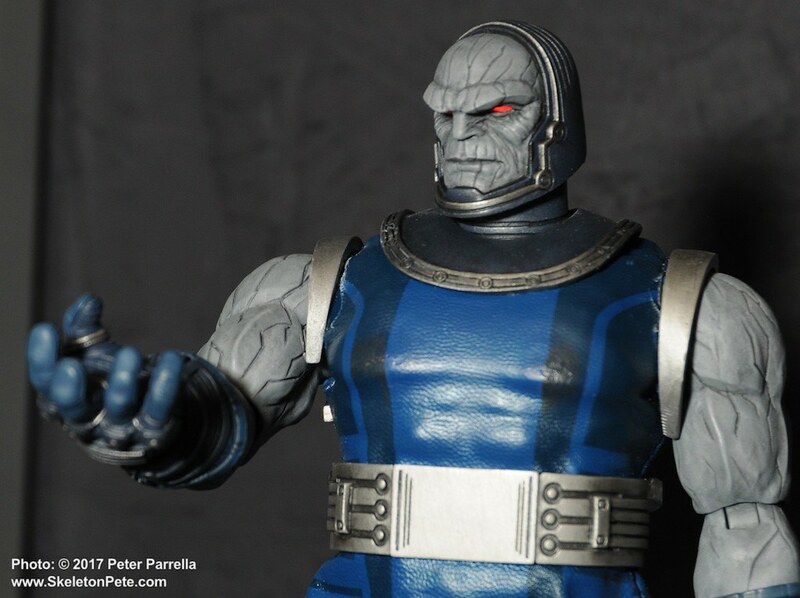 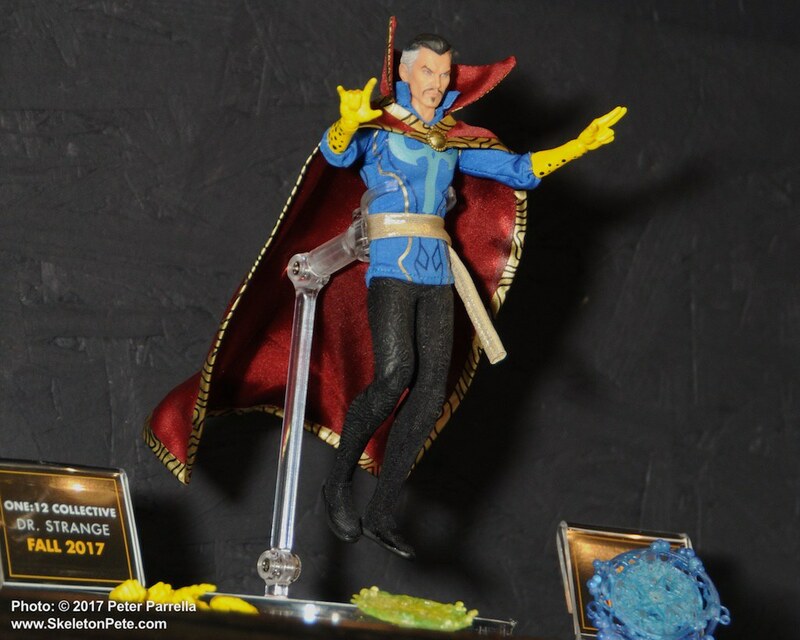 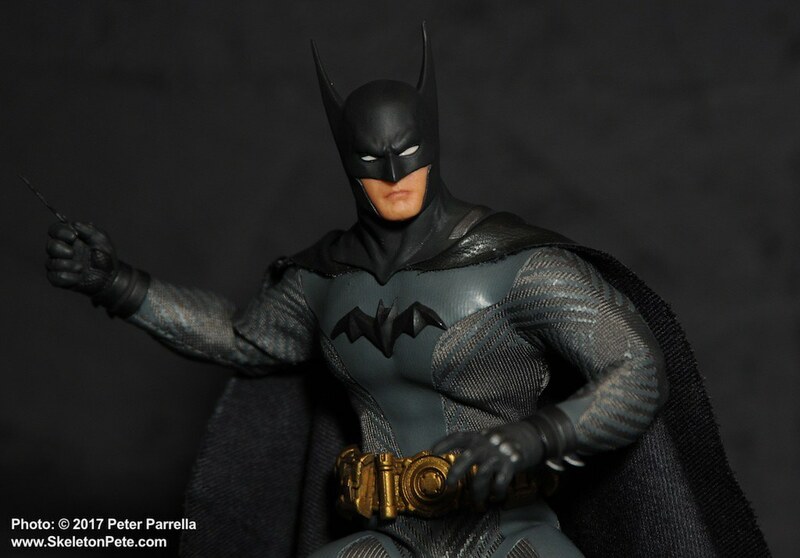 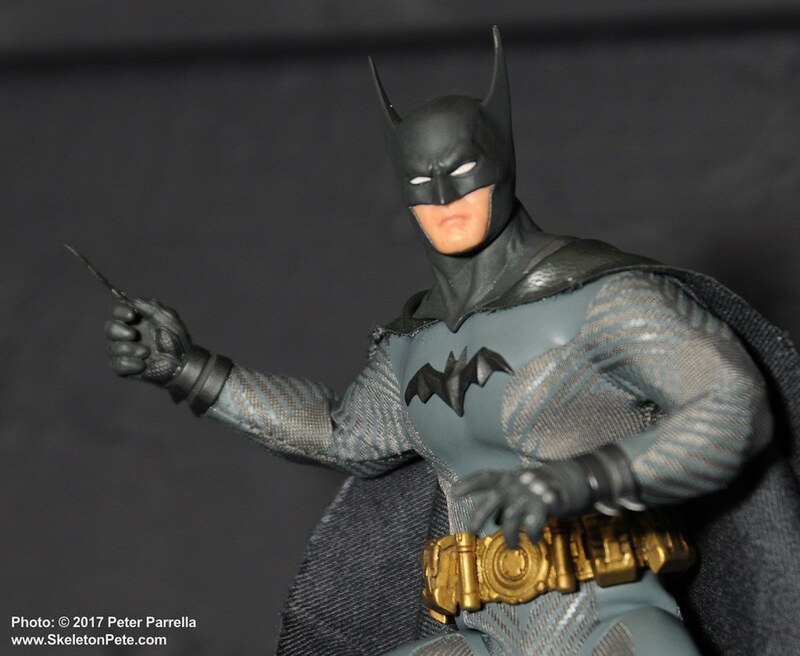 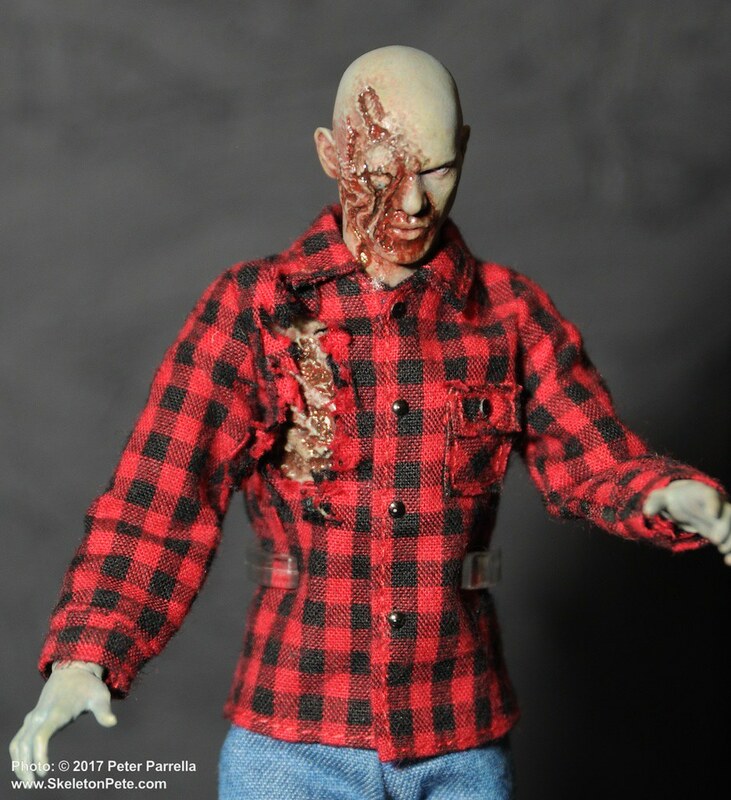 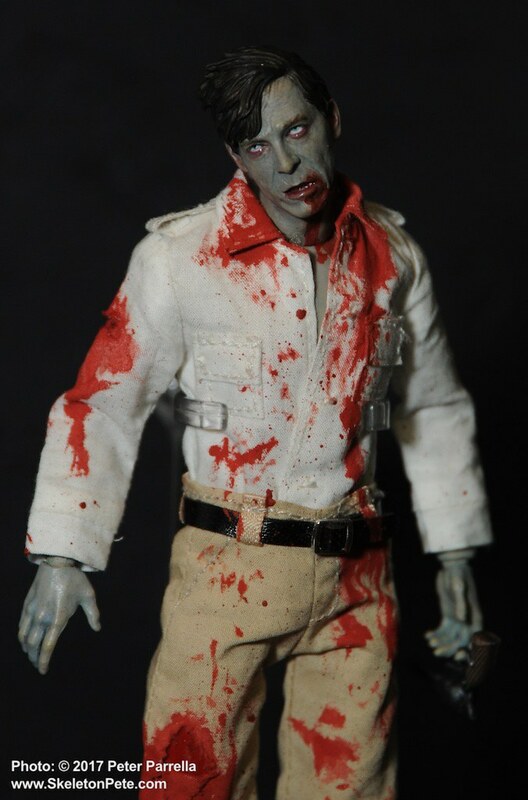 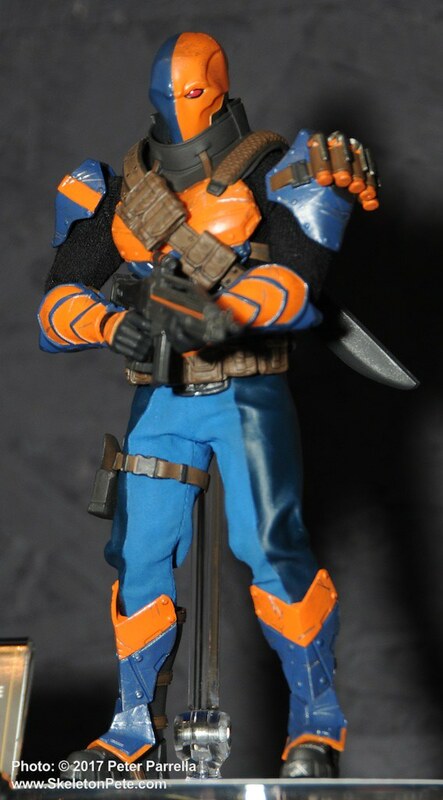 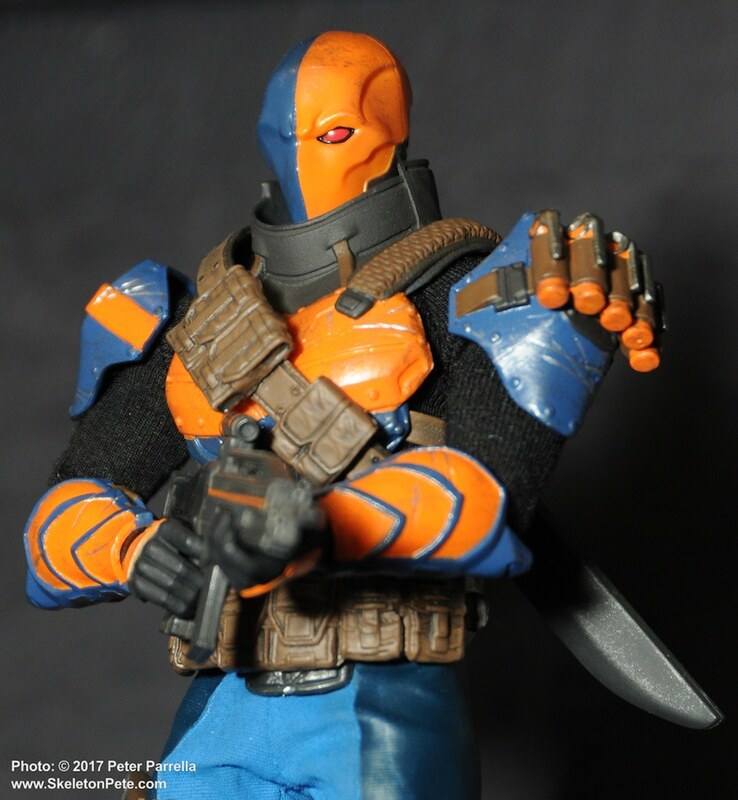 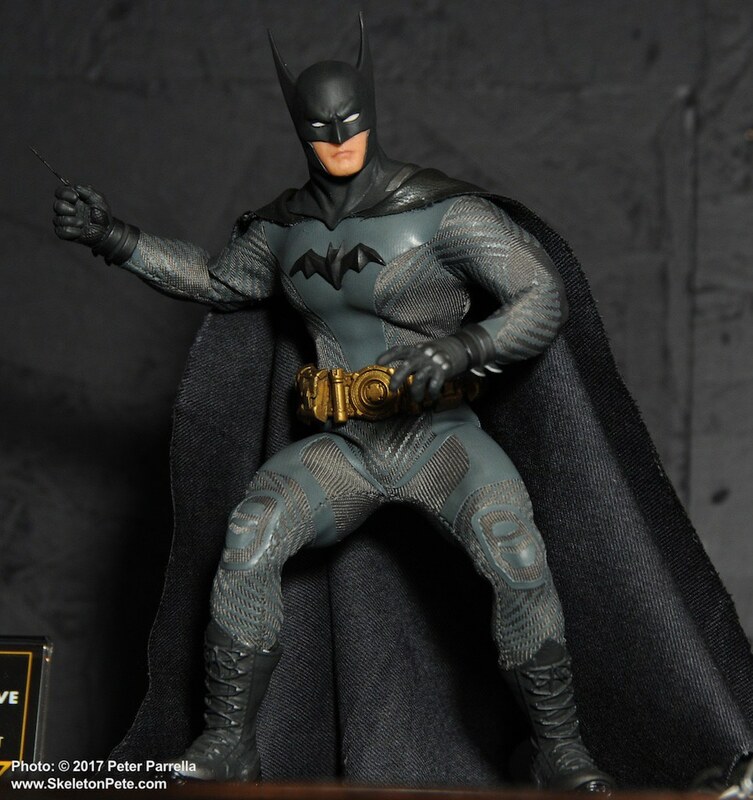 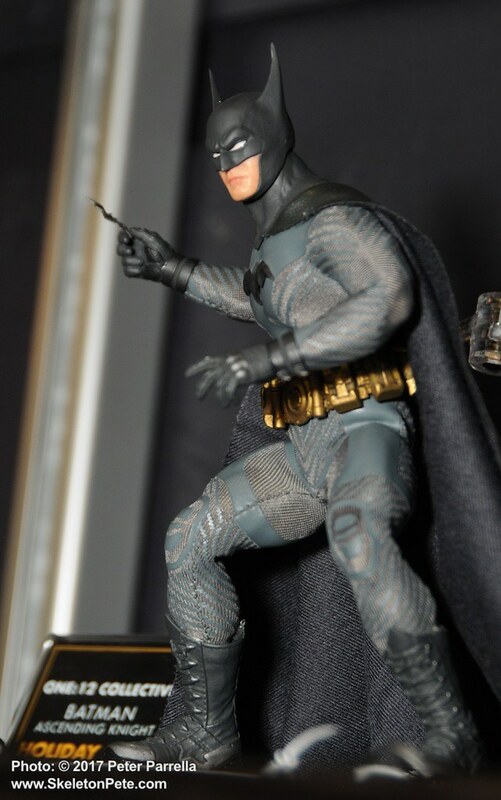 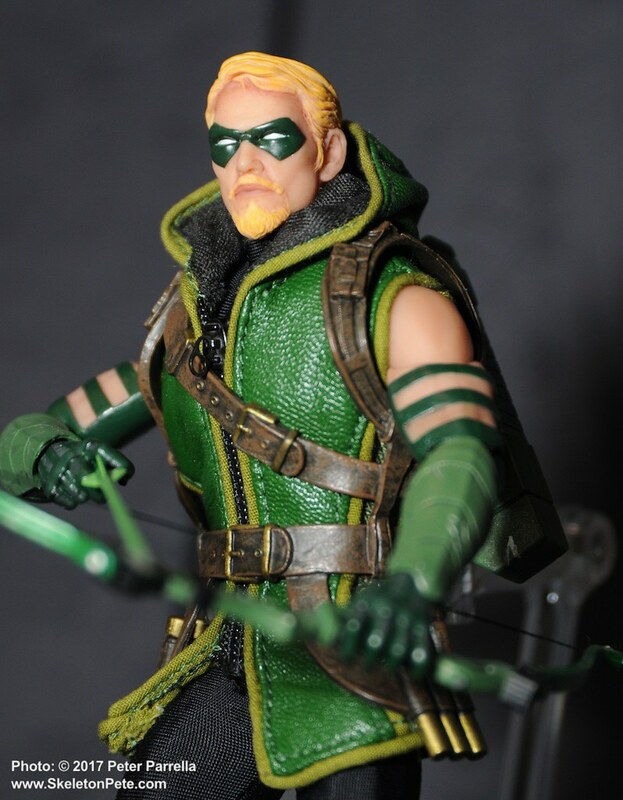 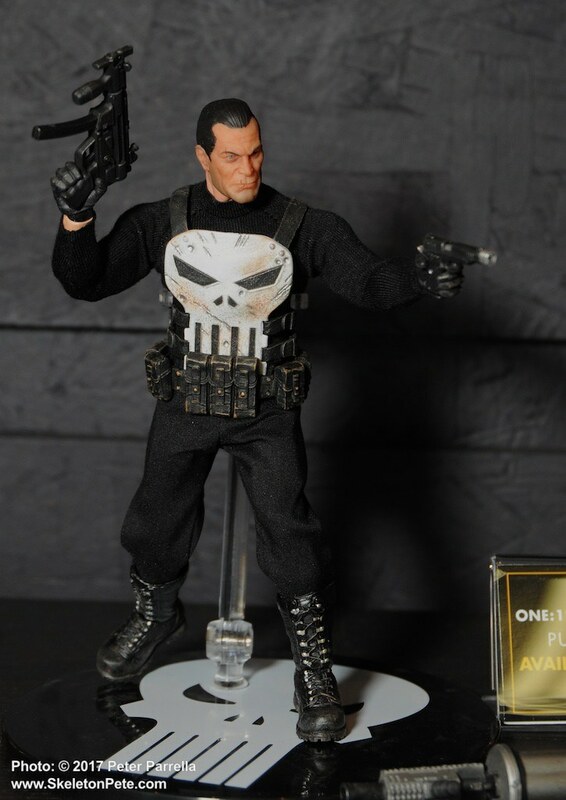 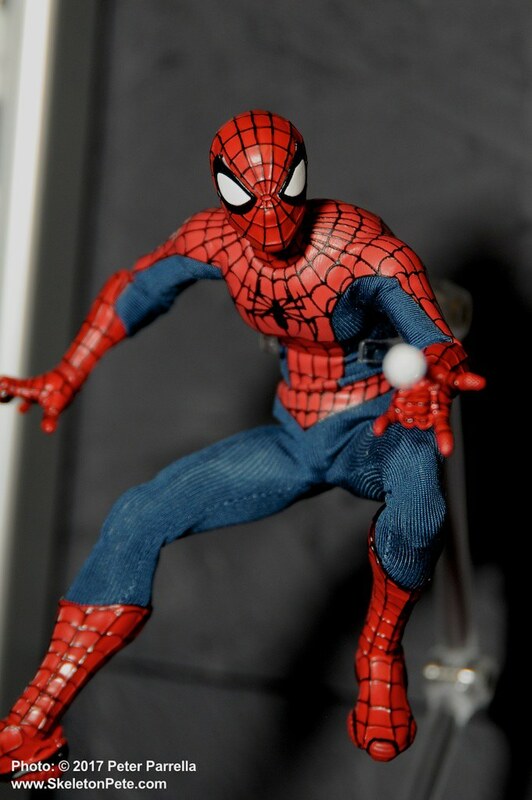 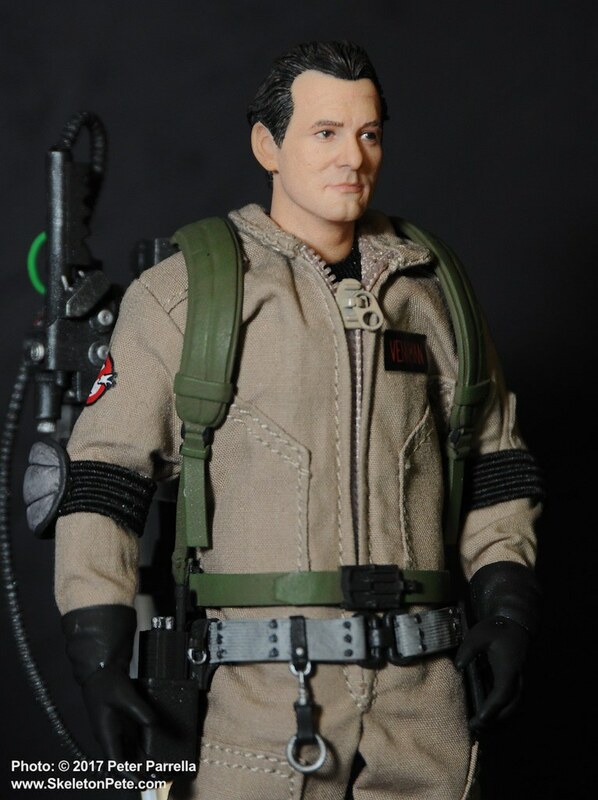 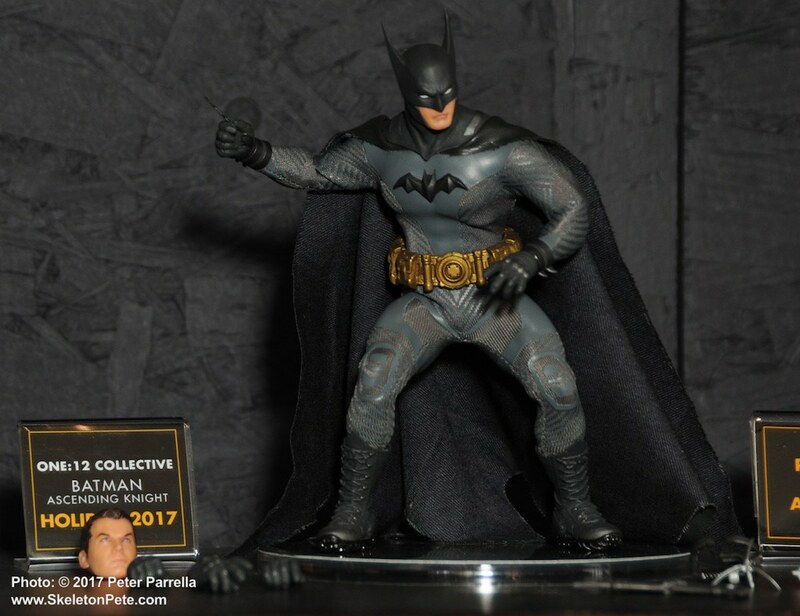 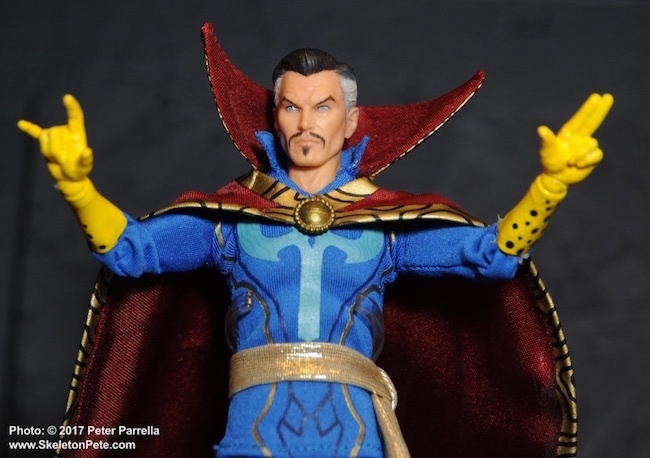 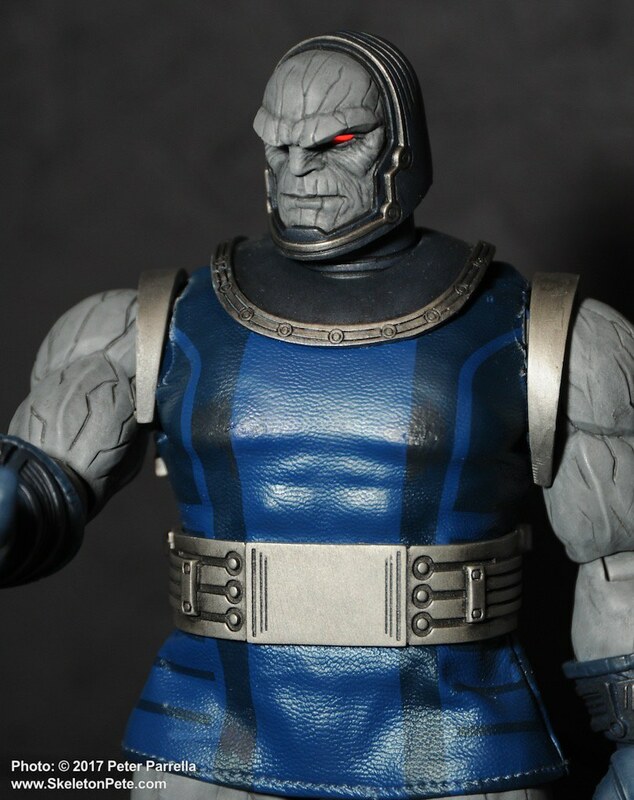 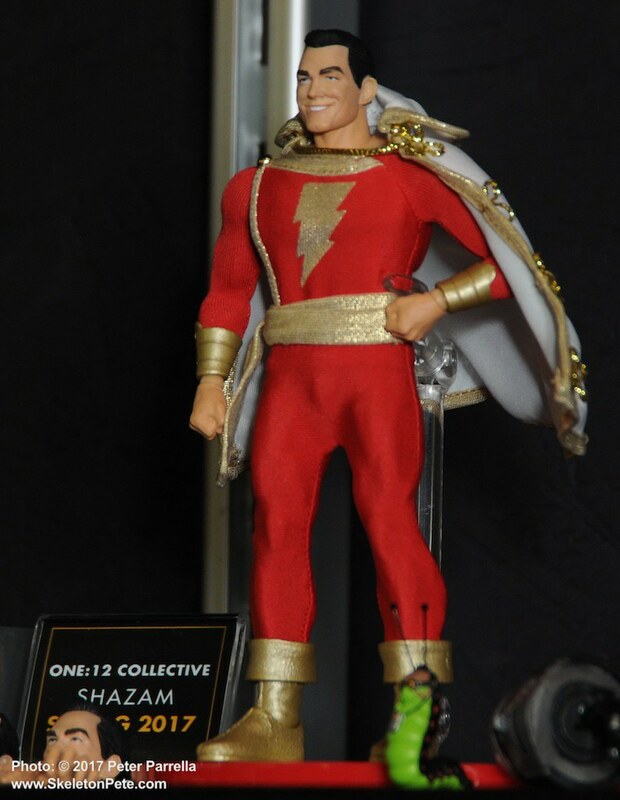 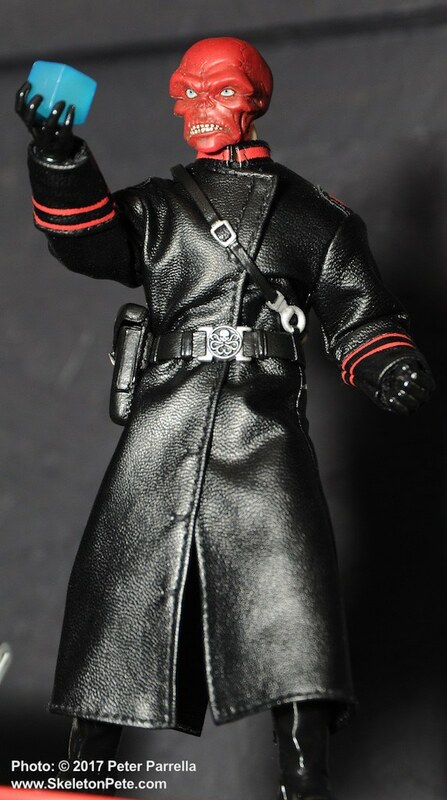 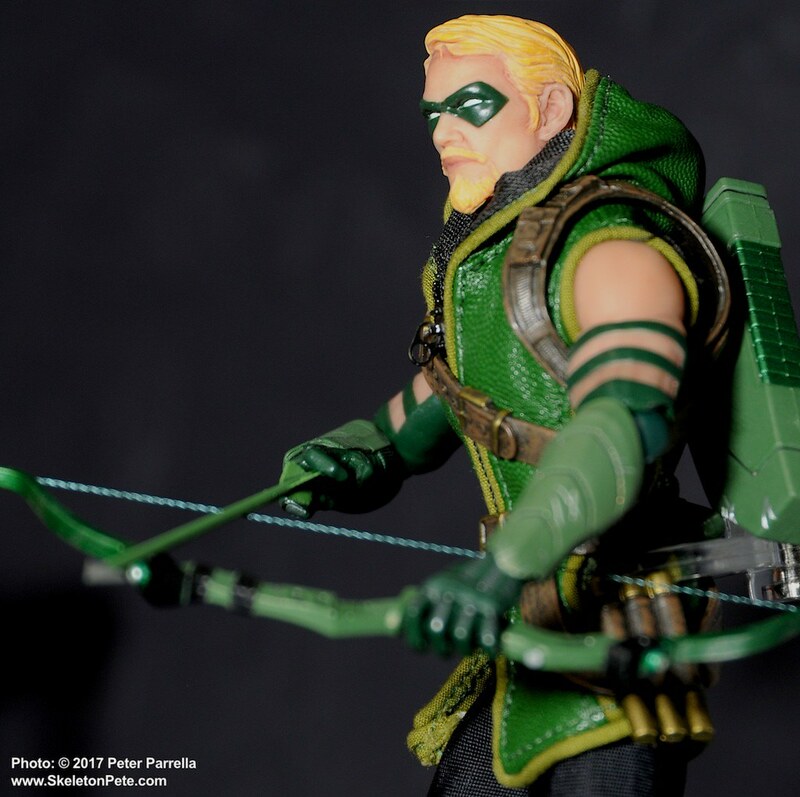 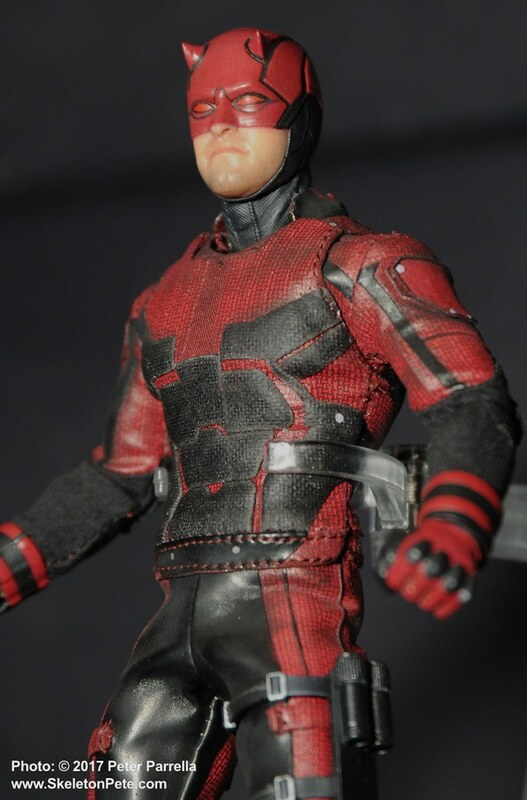 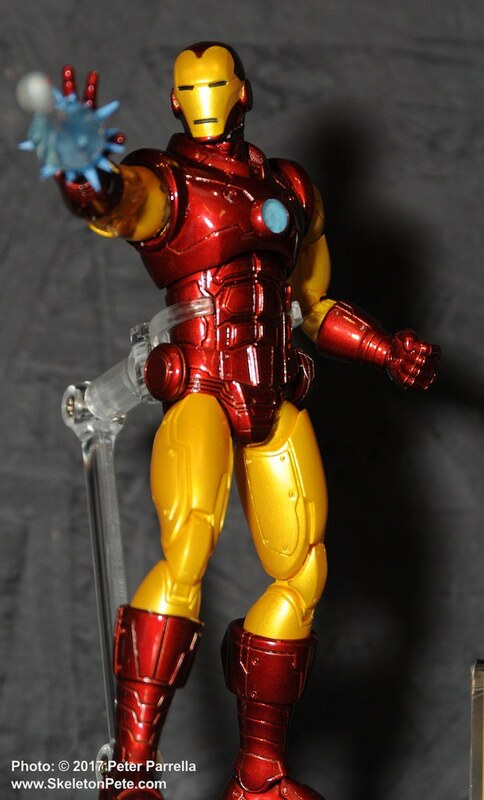 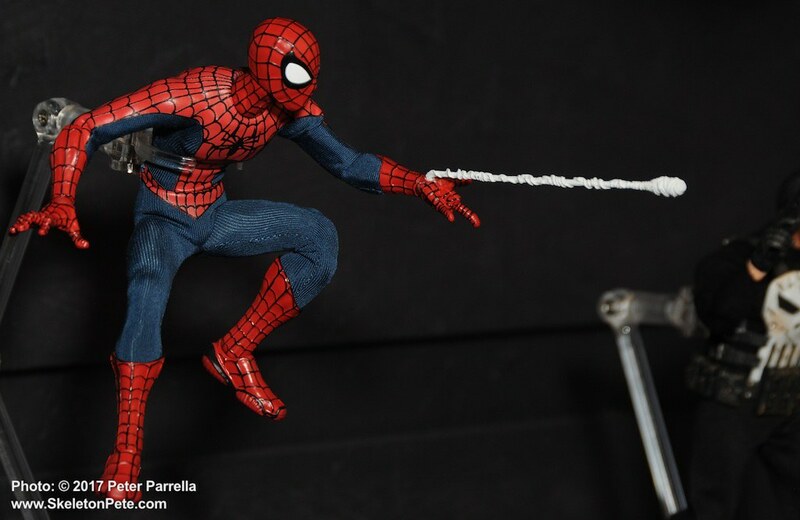 If you’ve spent any time on this site over the last couple of years you already know that I’m a big fan of Mezco’s One:12 Collective line. 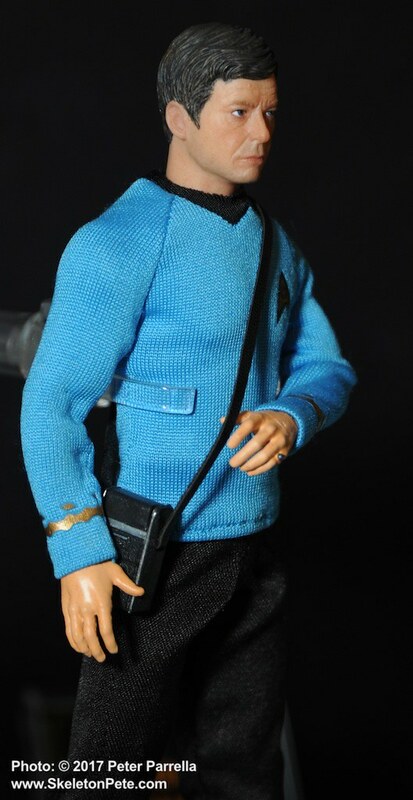 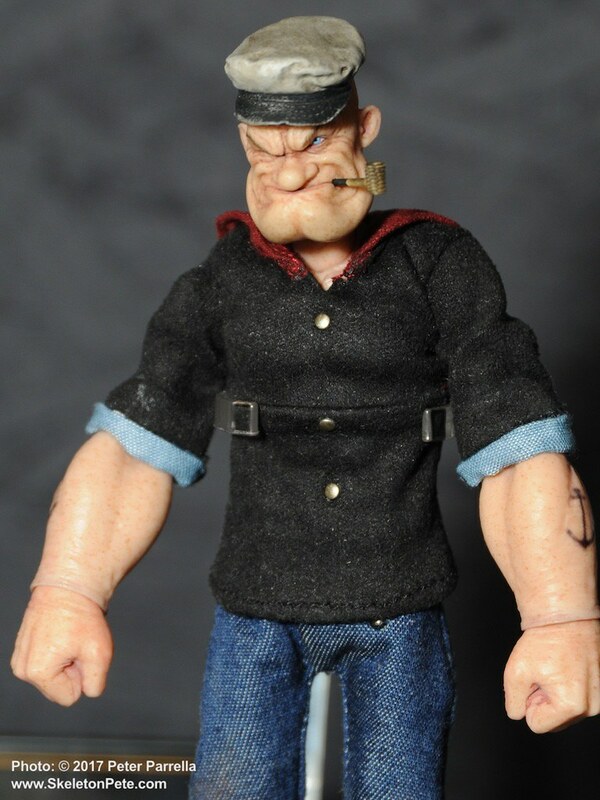 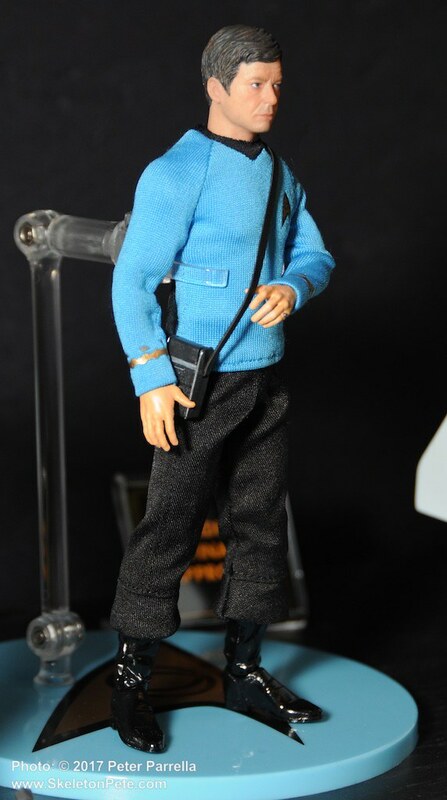 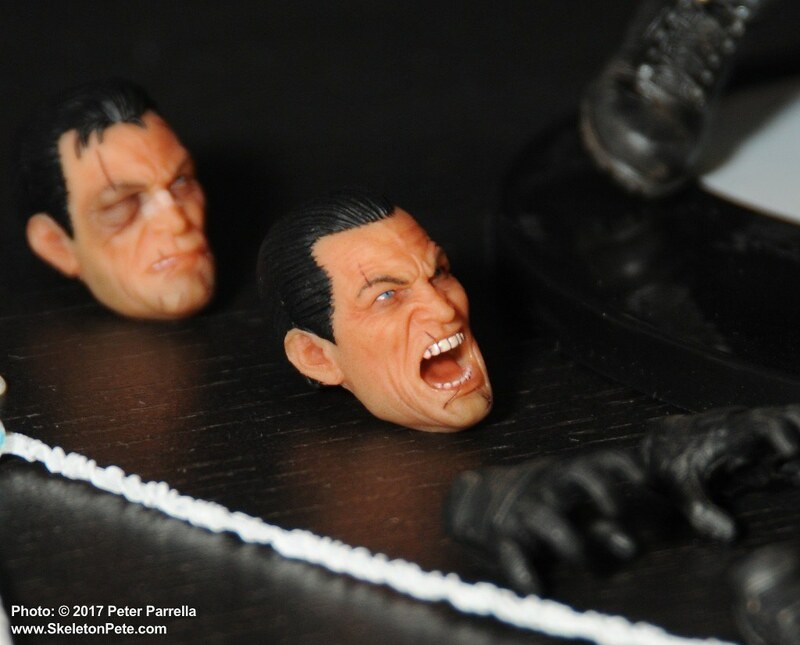 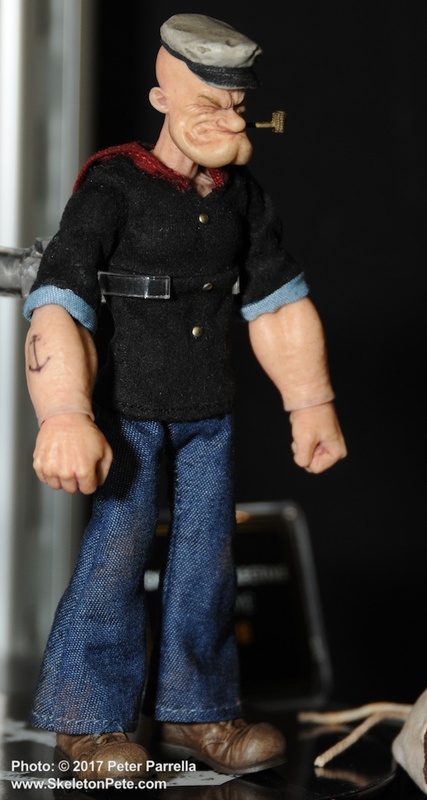 These approximately 6 inch figures are fully articulated, incredibly detailed, and come with an expanded selection of extras. 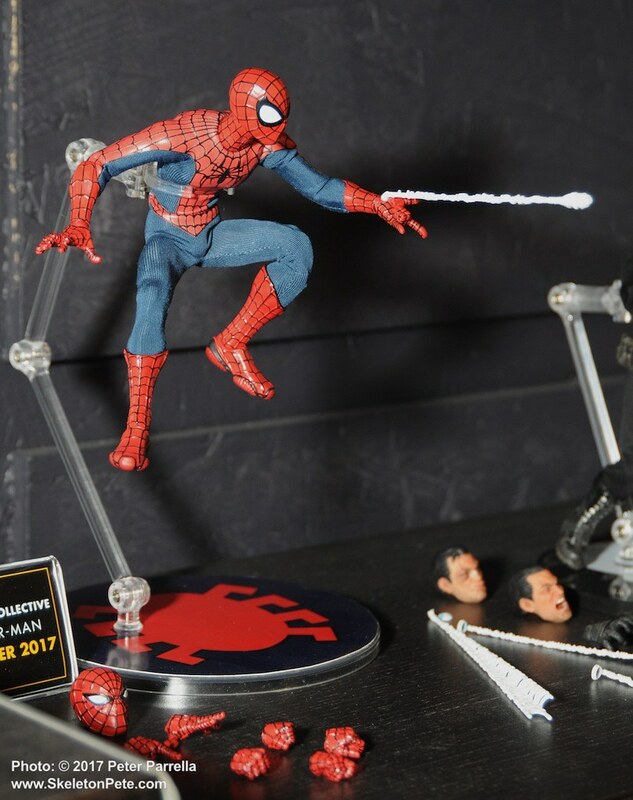 They are boxed in nicely designed display cases but you won’t want to leave them in the box because they are so much fun to pose and play with. 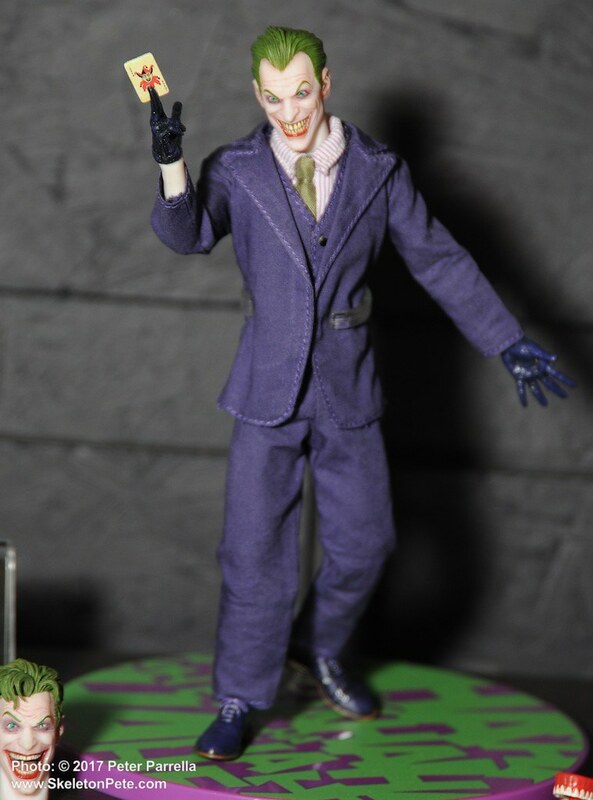 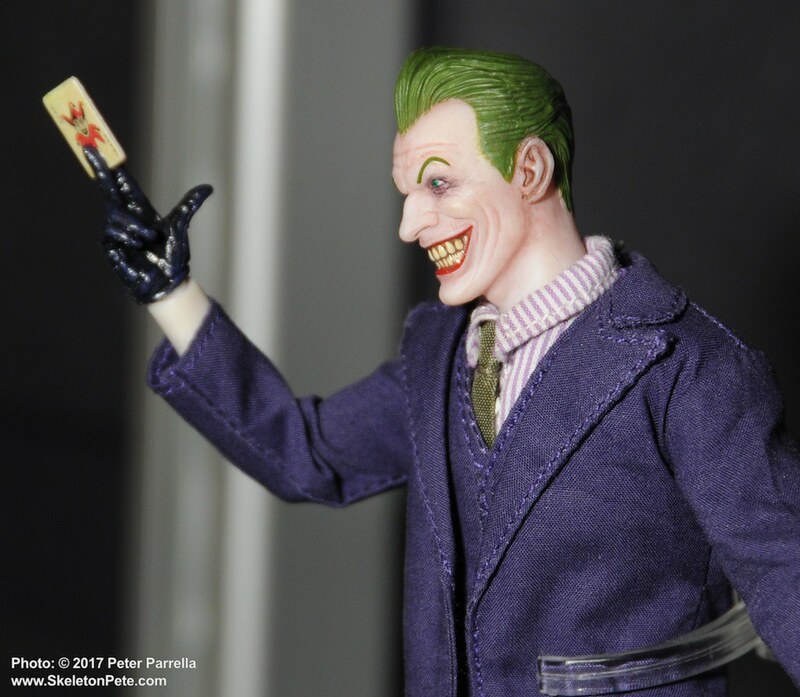 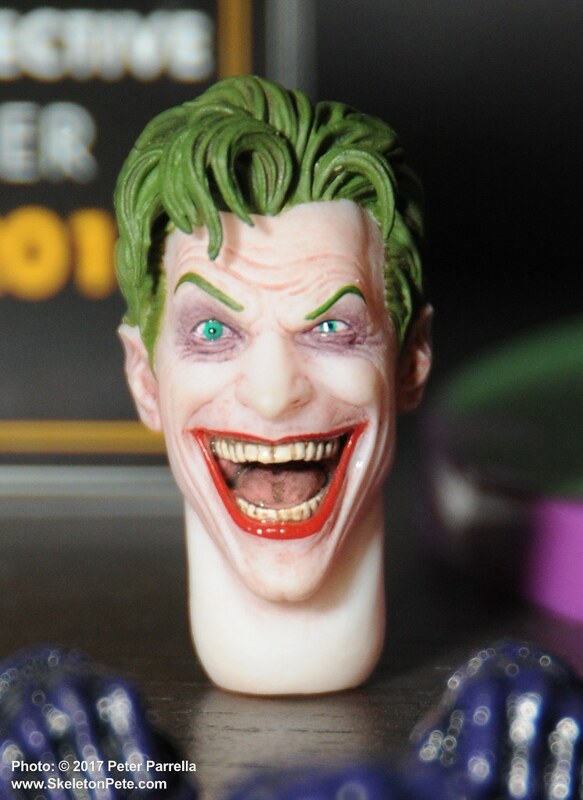 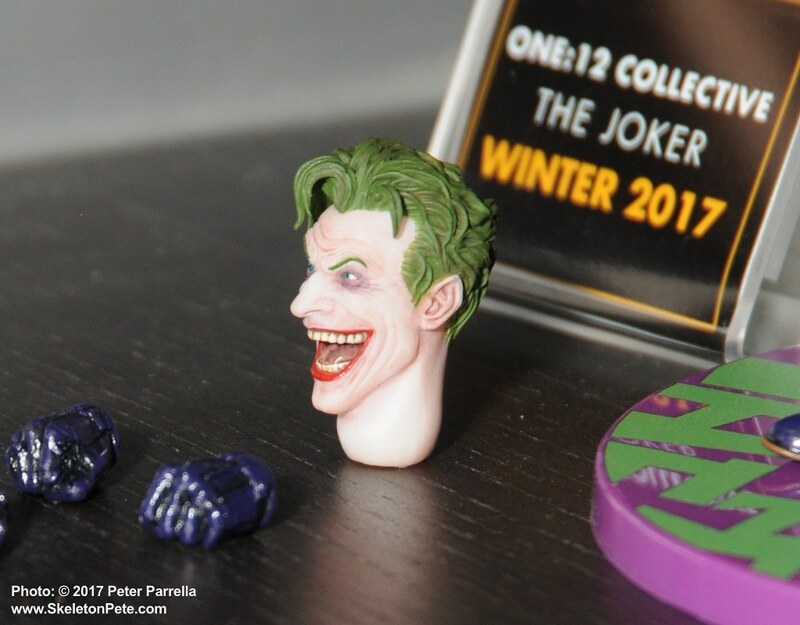 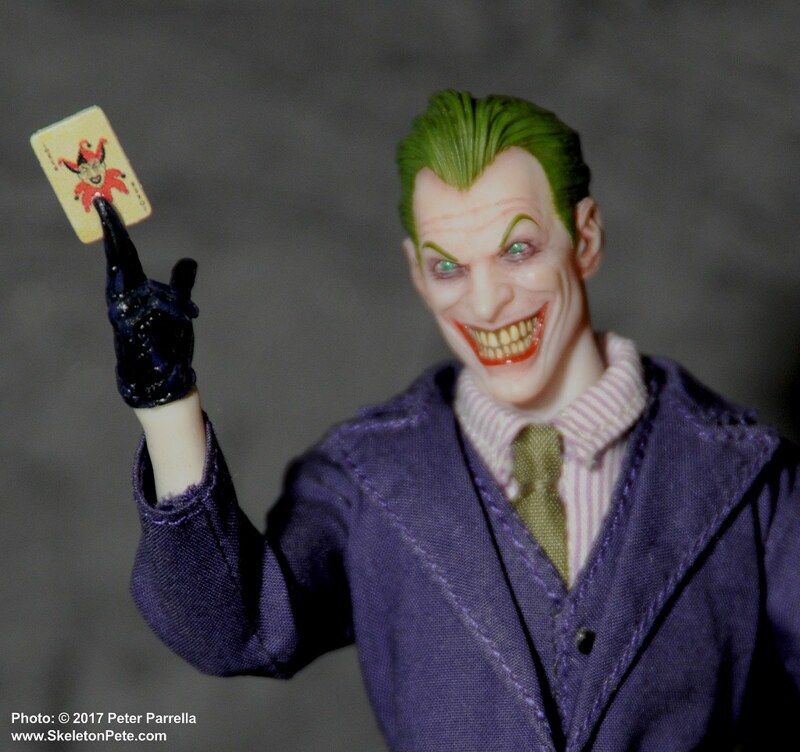 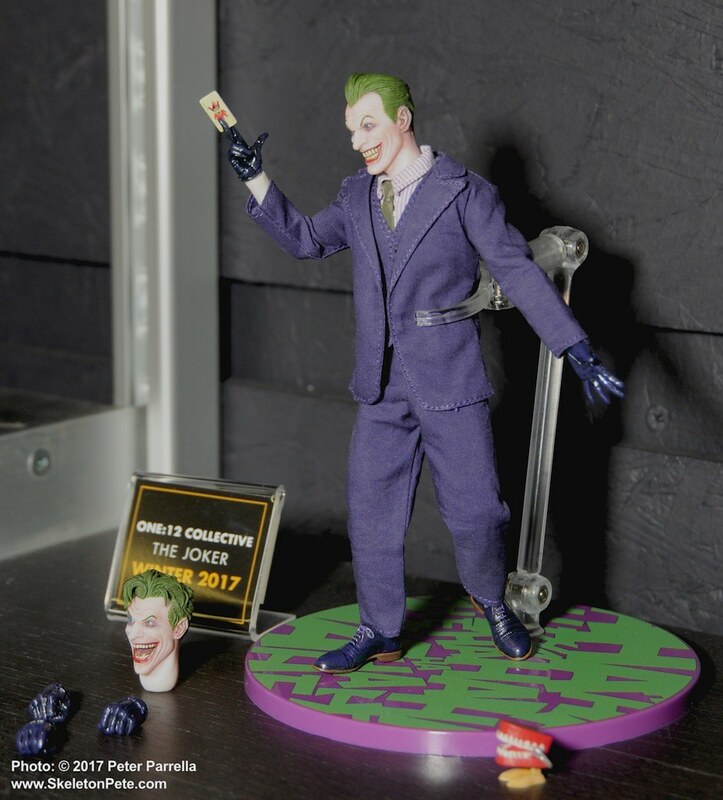 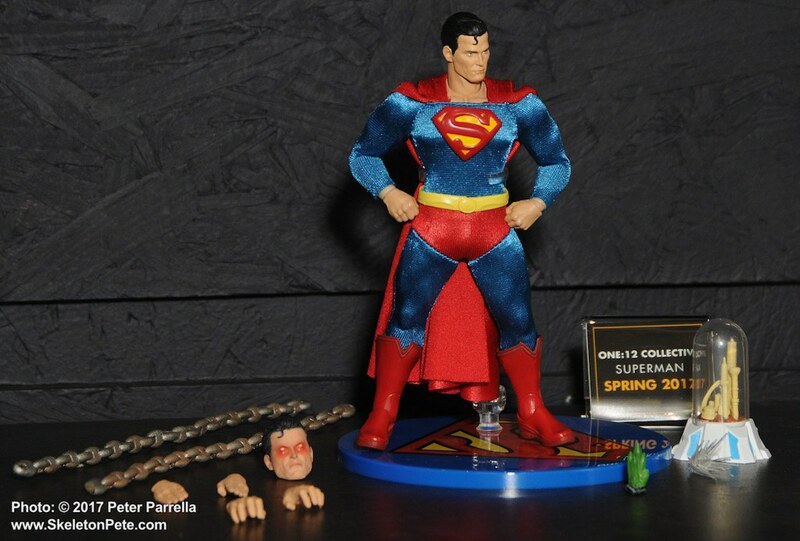 Extra heads and hands expand the posing possibilities and specialty items like The Joker‘s chattering teeth gag, Superman‘s bottled City of Kandor, Shazam‘s Mr. 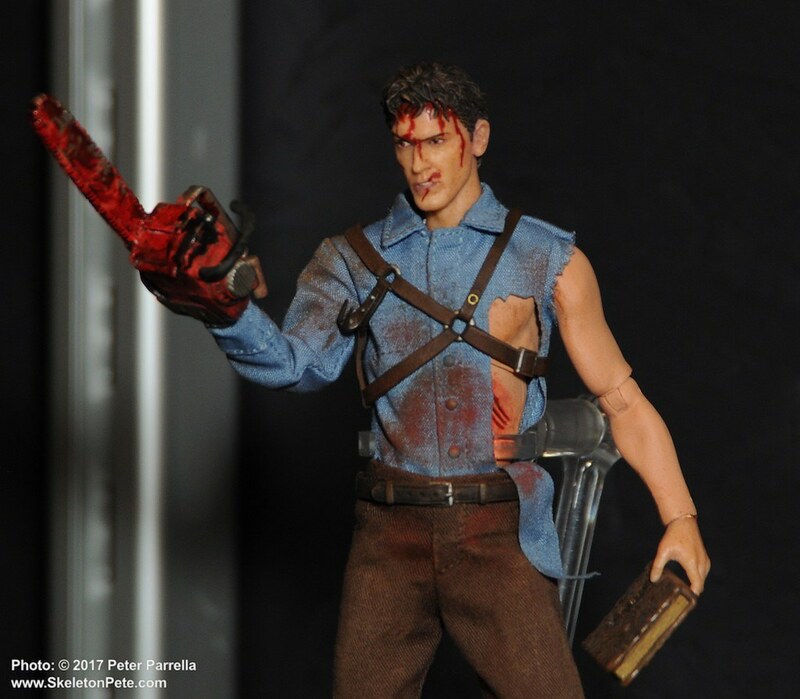 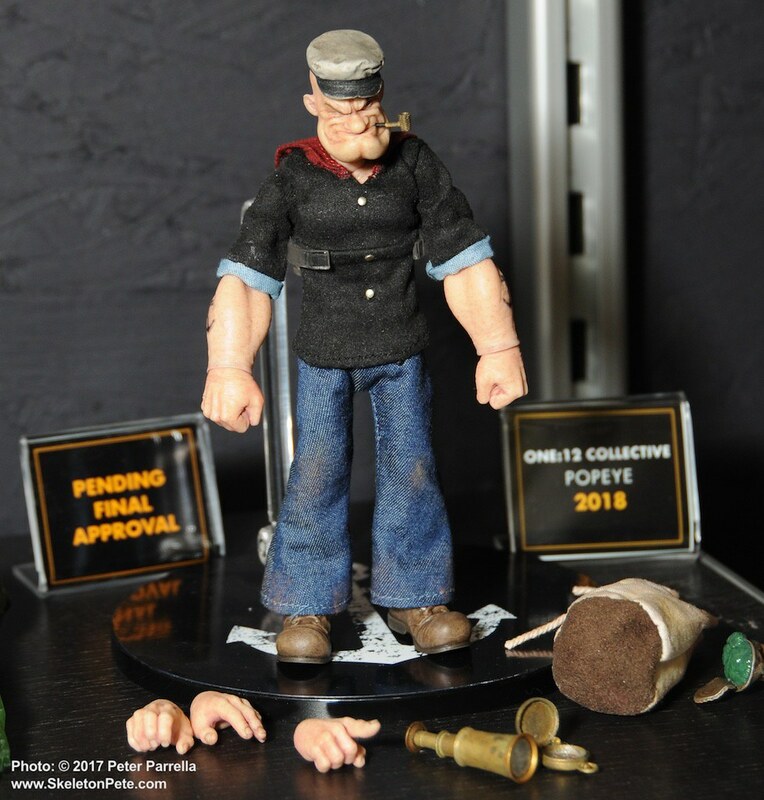 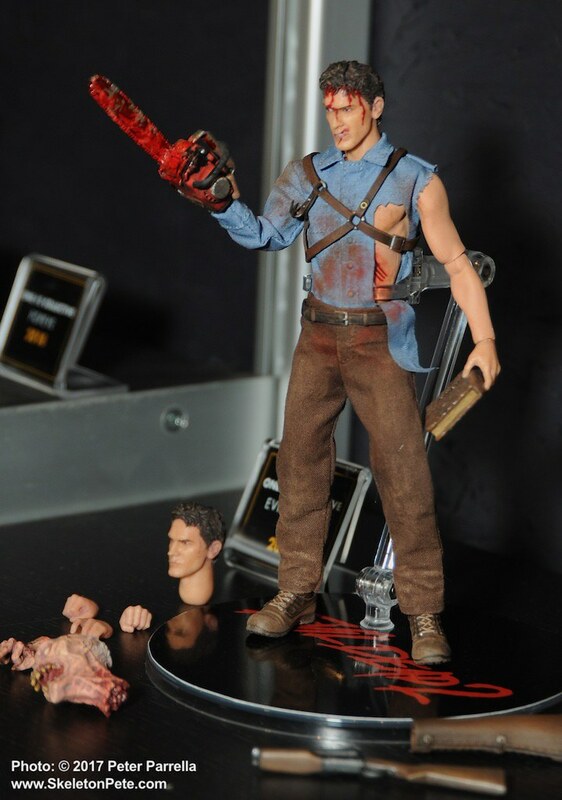 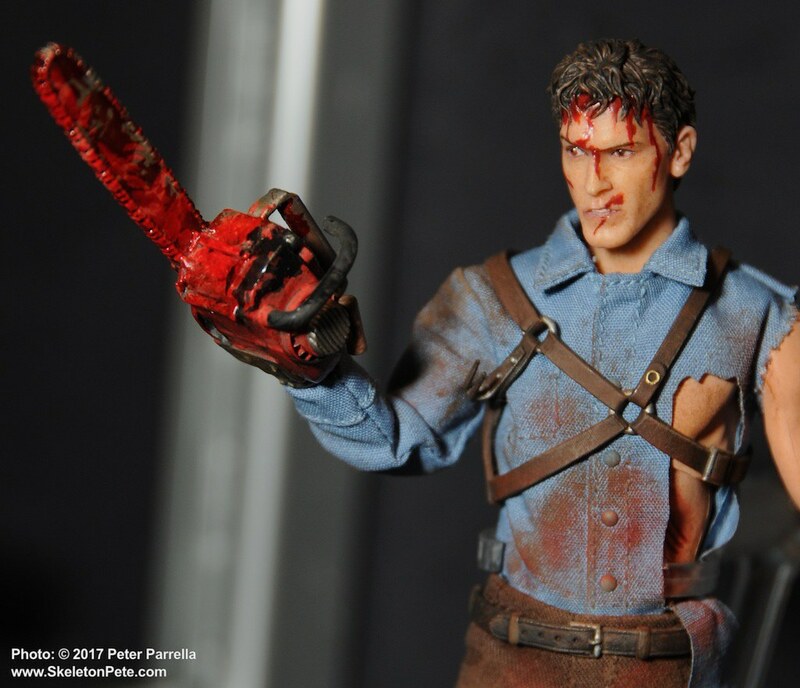 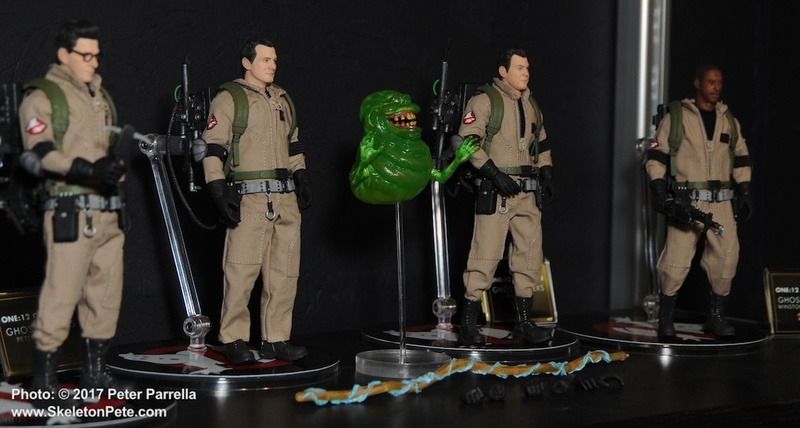 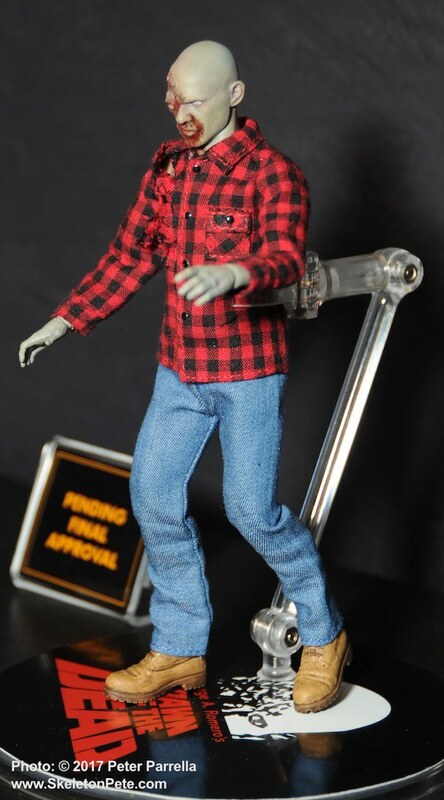 Mind, and Evil Dead‘s flipping-you-off corpse hand are pure gold for collectors. 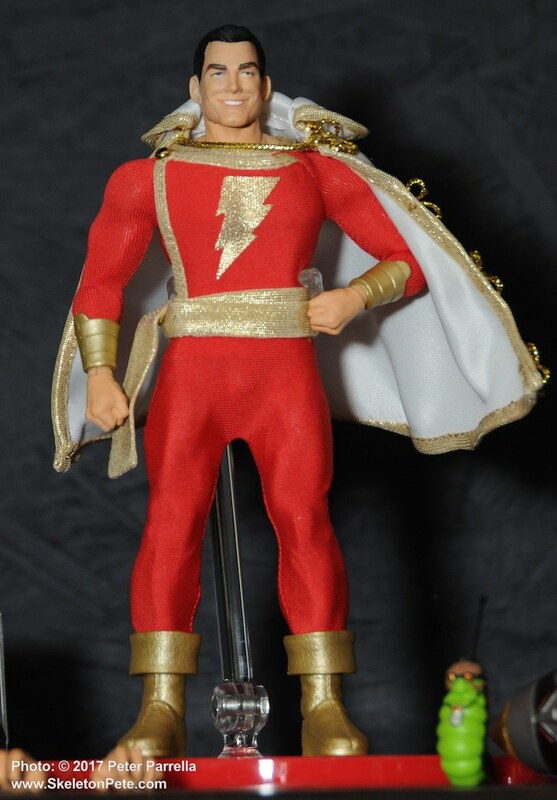 Shazam’s Mr. 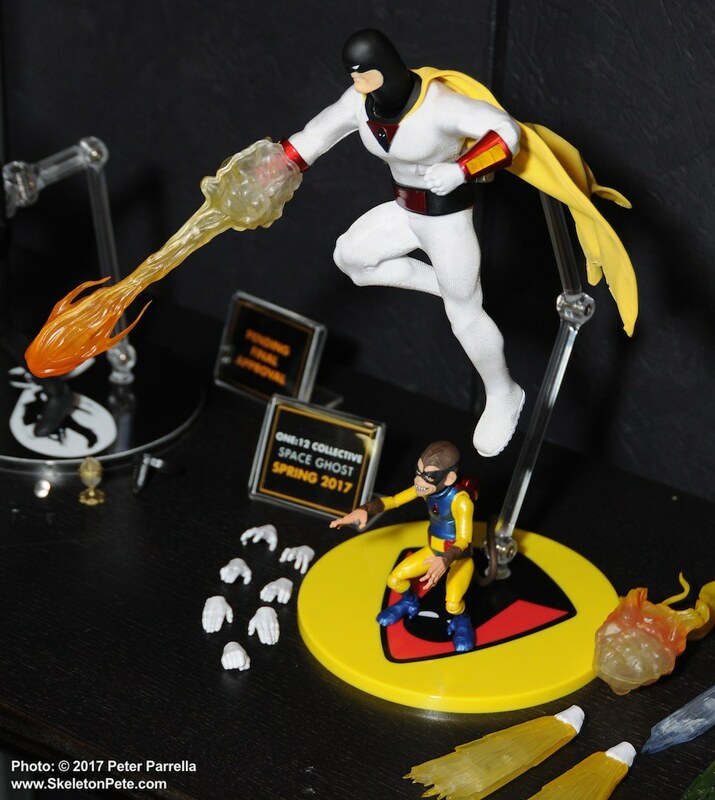 Mind and Mr. Atom are just a couple of examples of the extras that make the One:12 Collective so special. 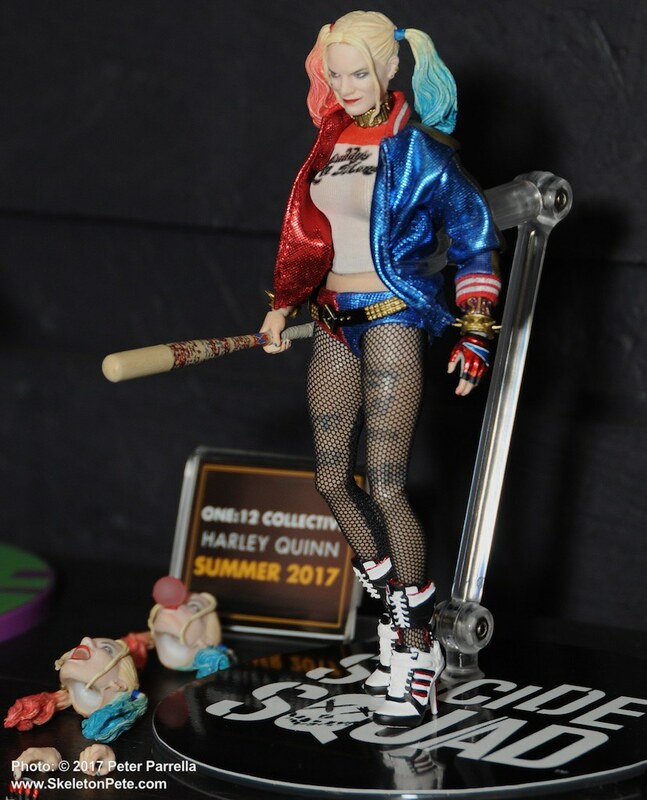 2017 will see the release of the first two One:12 female characters with film versions of Wonder Woman (Gal Gadot) and Margot Robbie’s Harley Quinn from Suicide Squad. 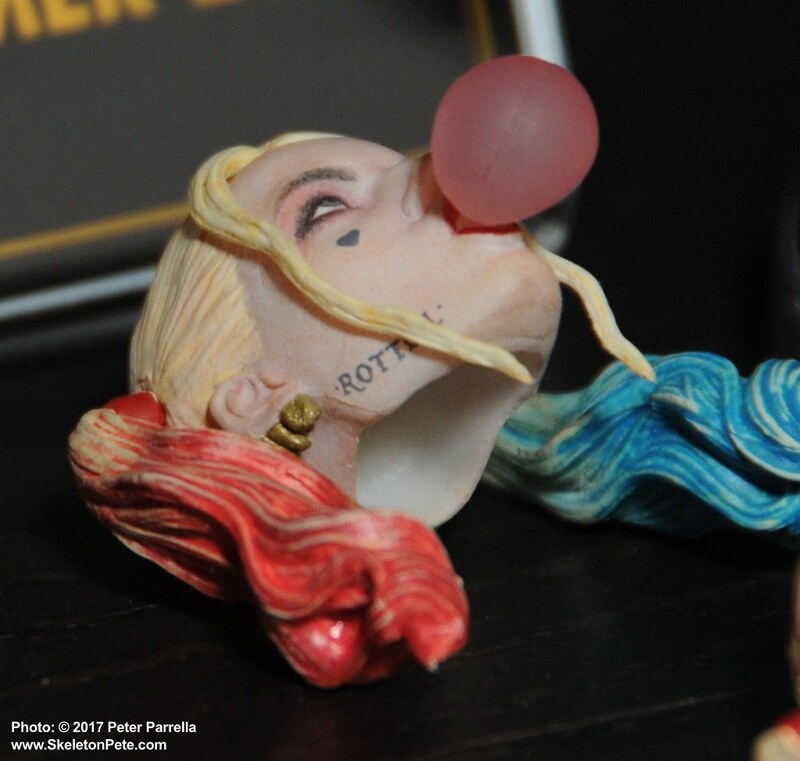 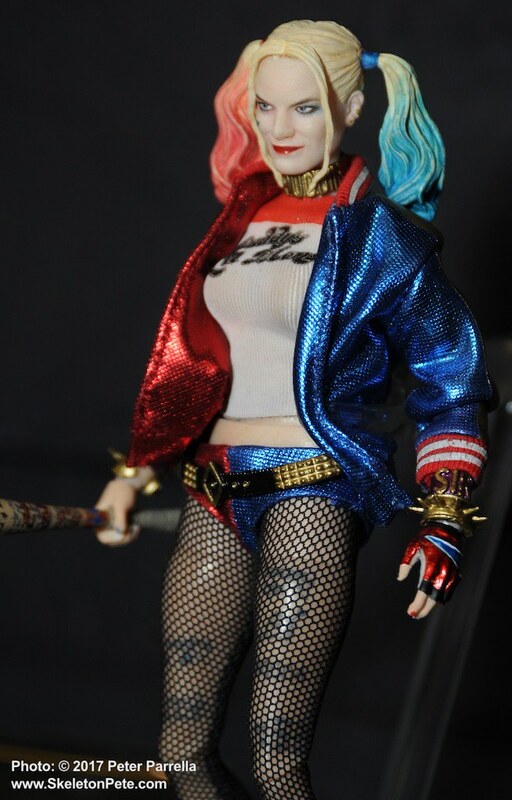 Harley has a fun, bubble gum blowing, alternate head and her full regalia of tattoos are transcribed. 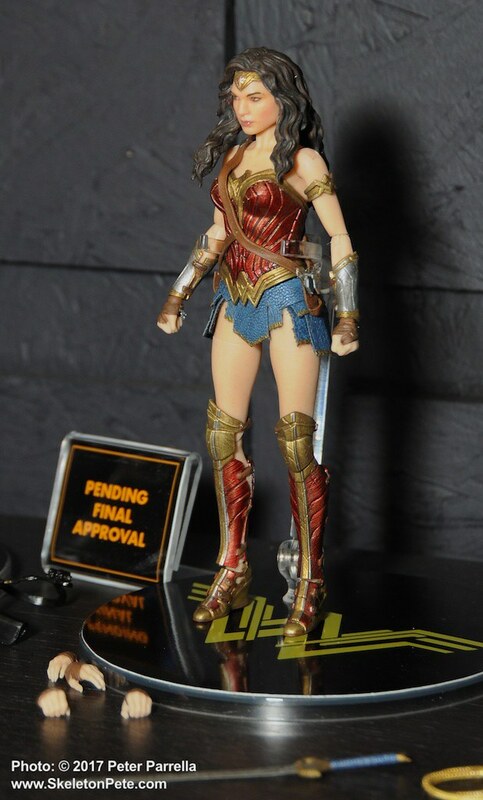 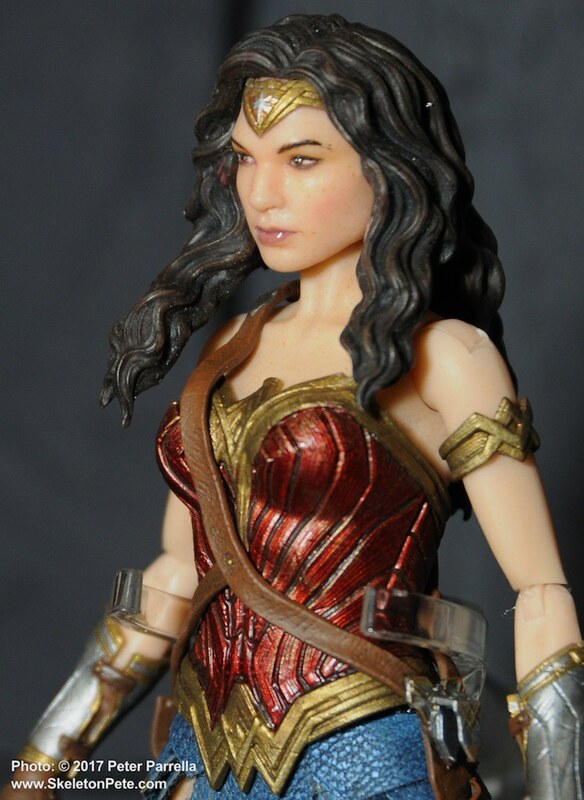 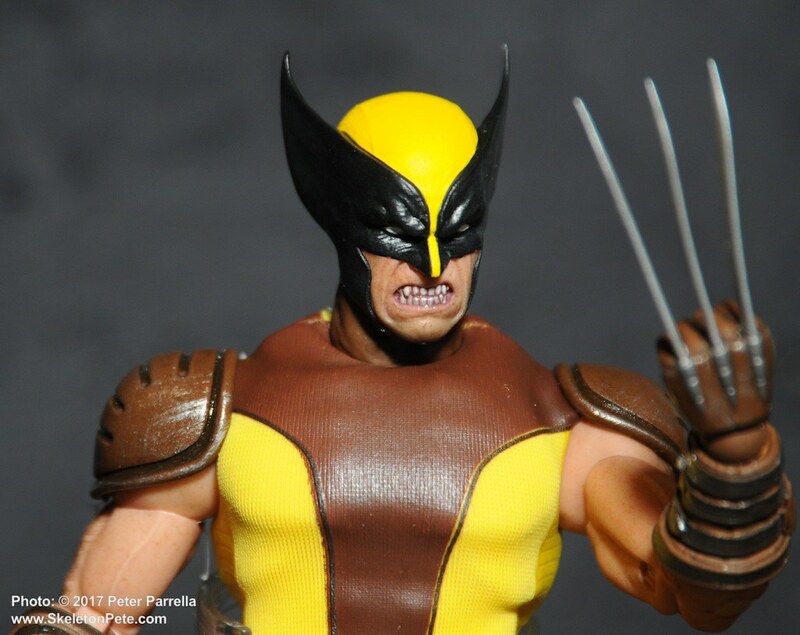 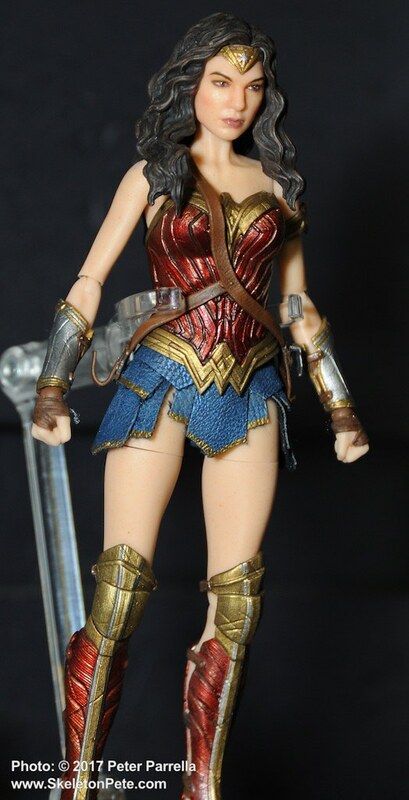 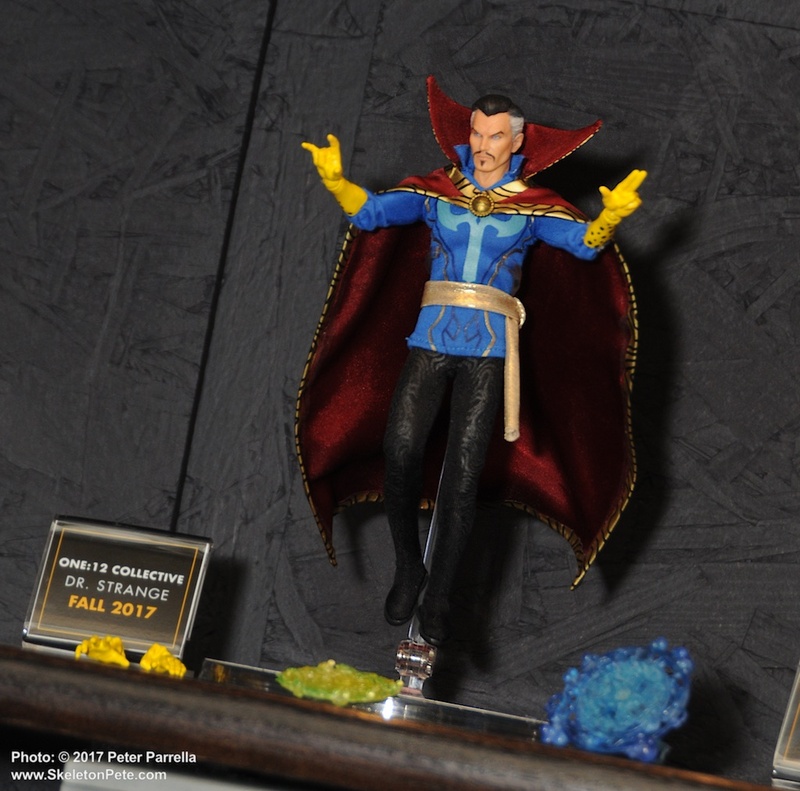 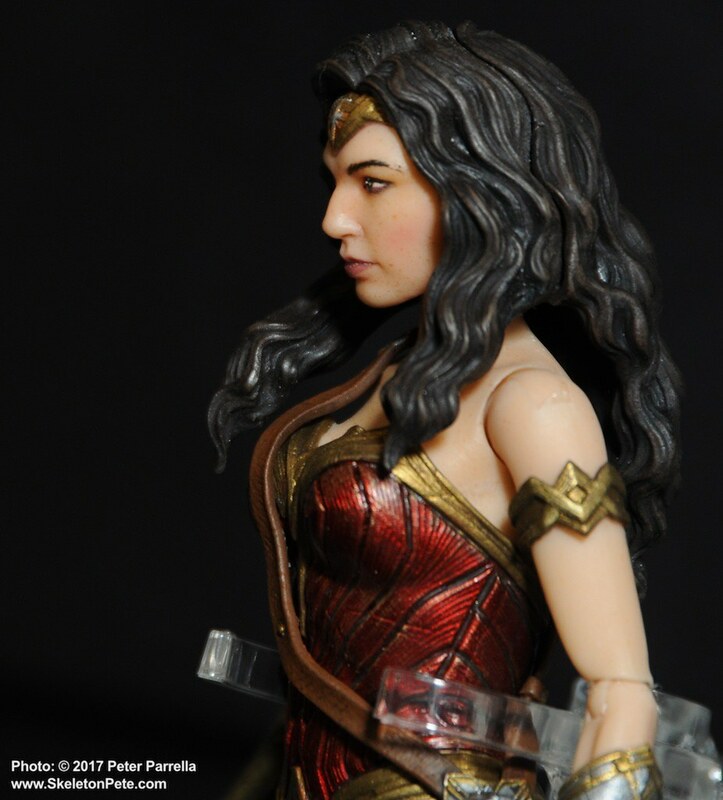 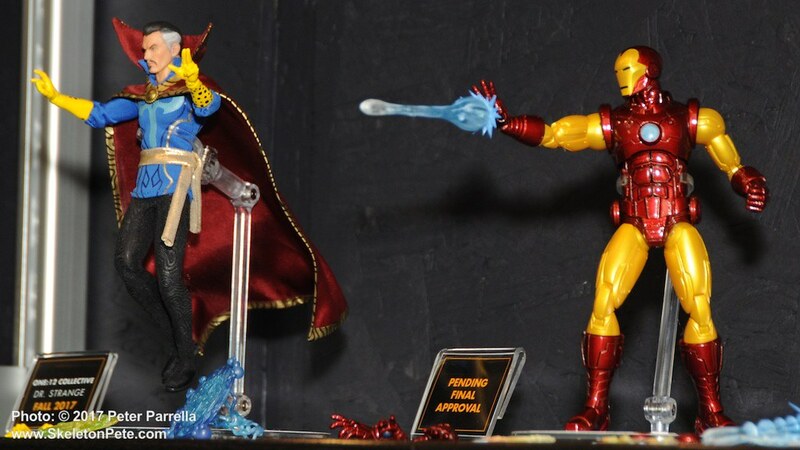 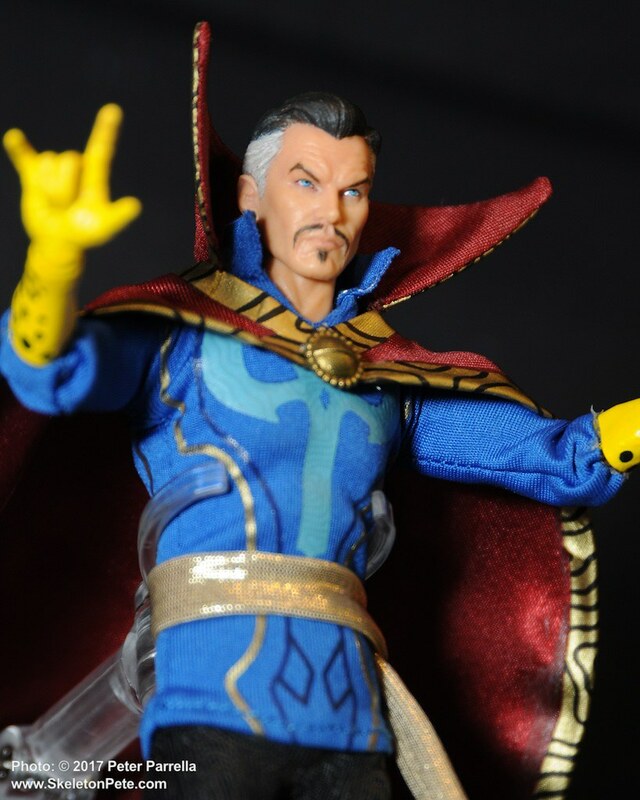 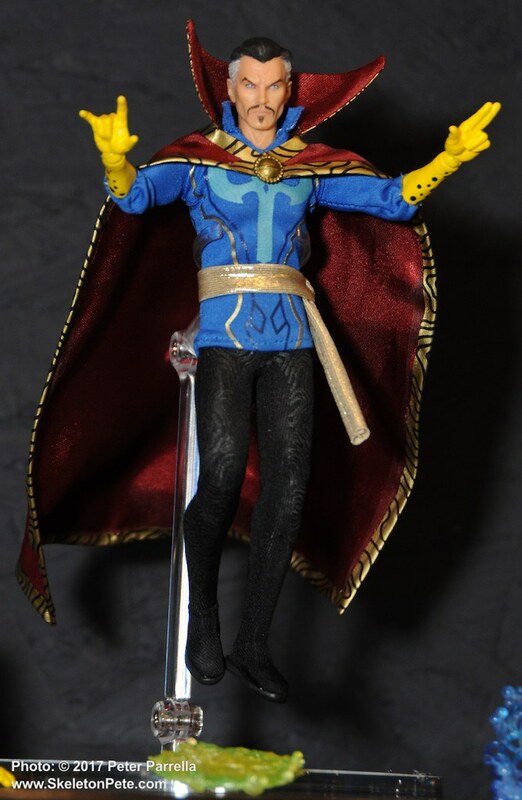 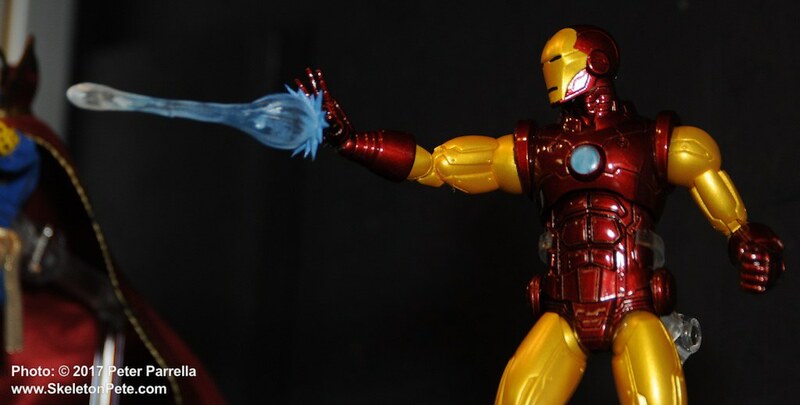 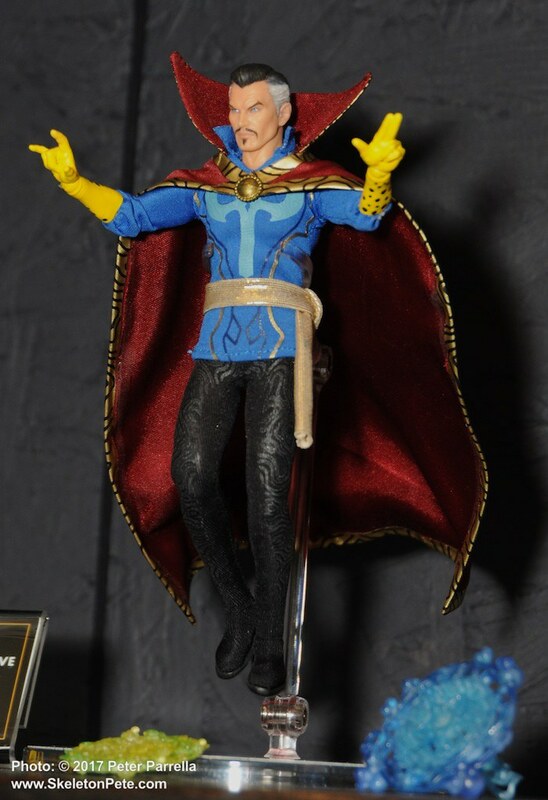 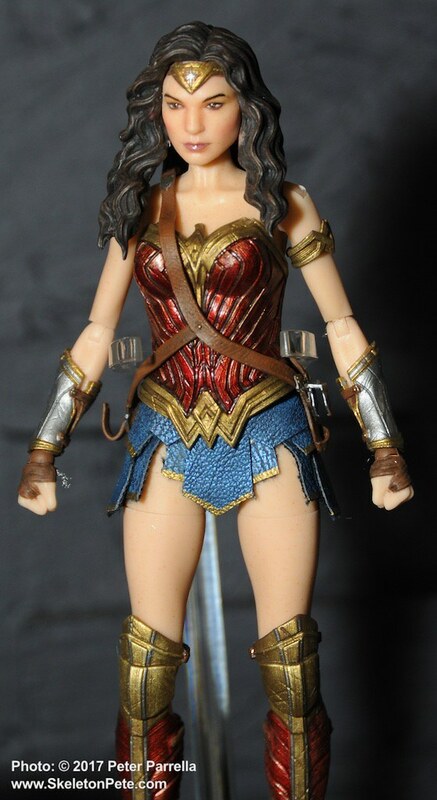 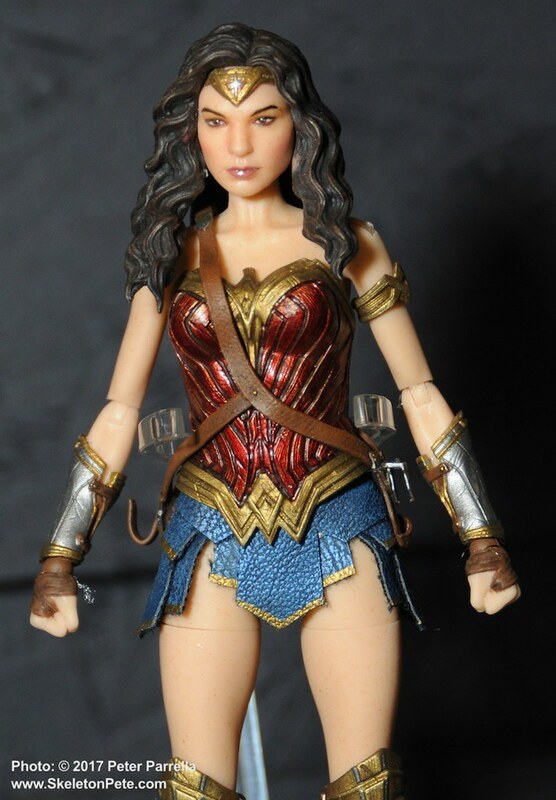 I think it likely that Mezco will add their various comic book continences in the future. 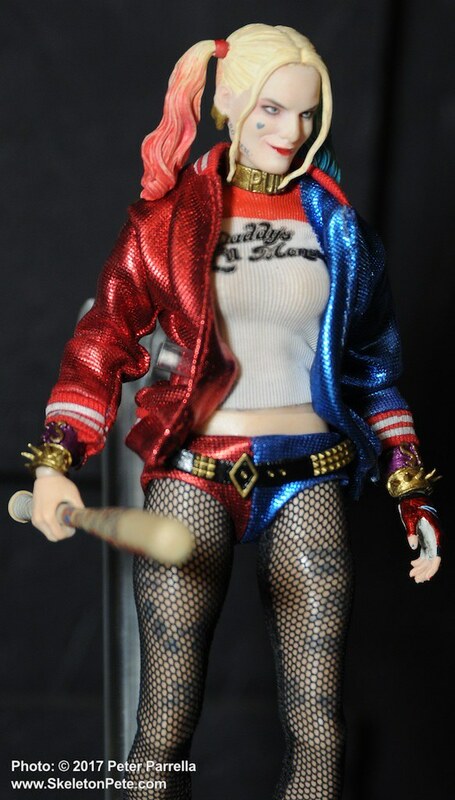 Margot Robbie’s Harley Quinn, prepares to beat on the brat with a baseball bat. 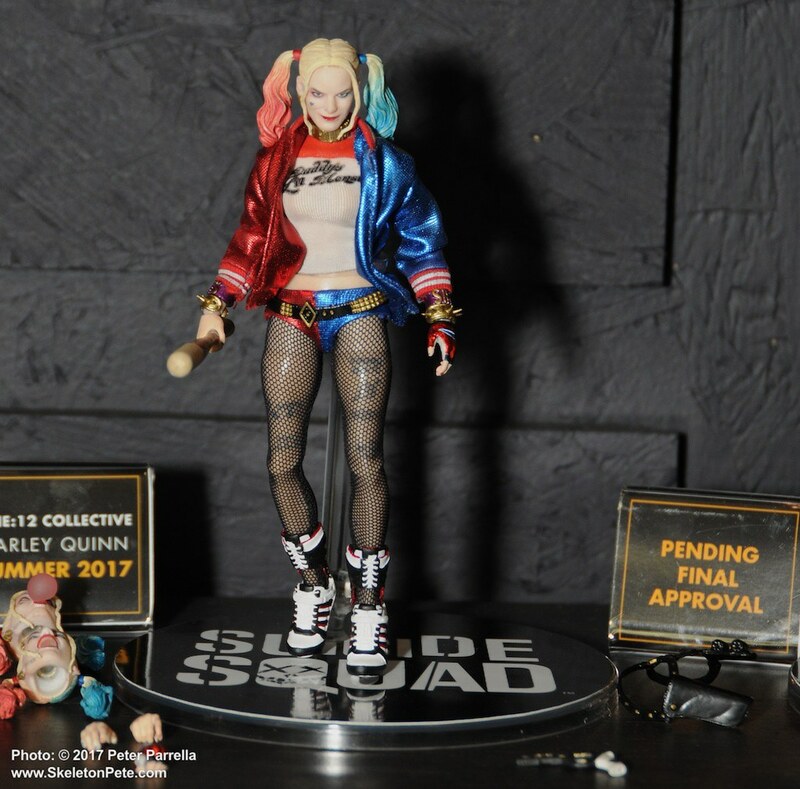 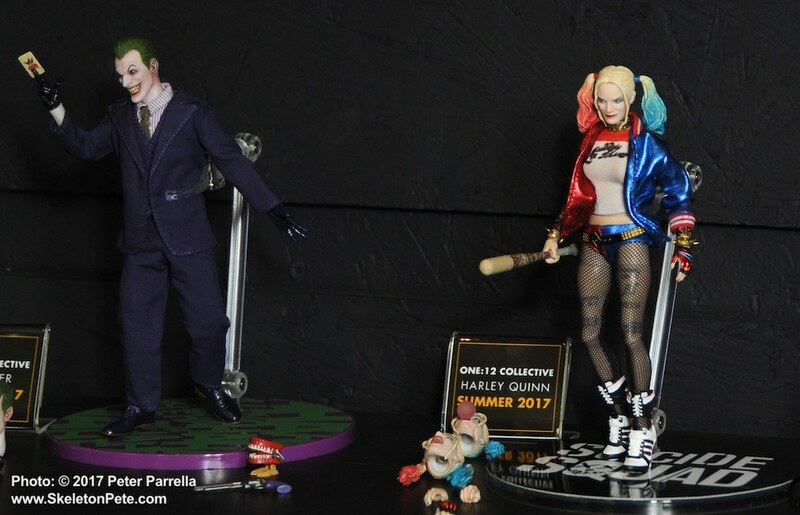 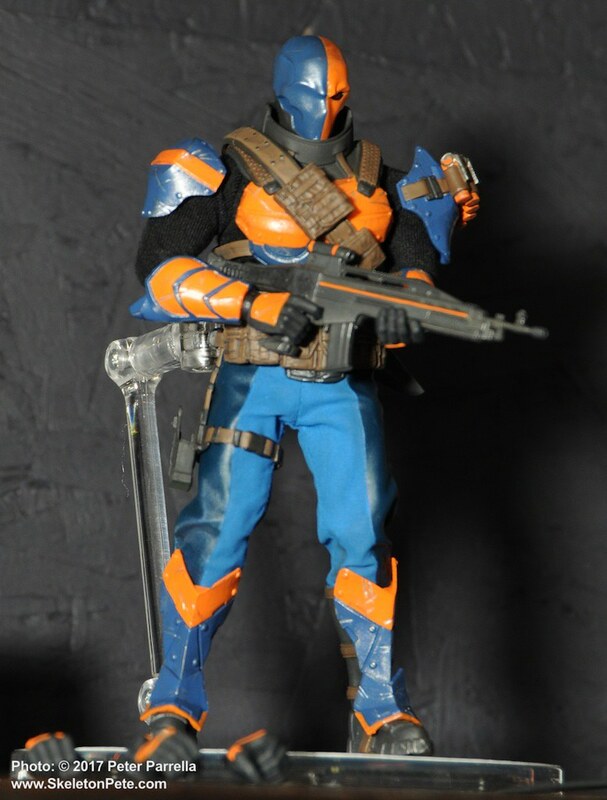 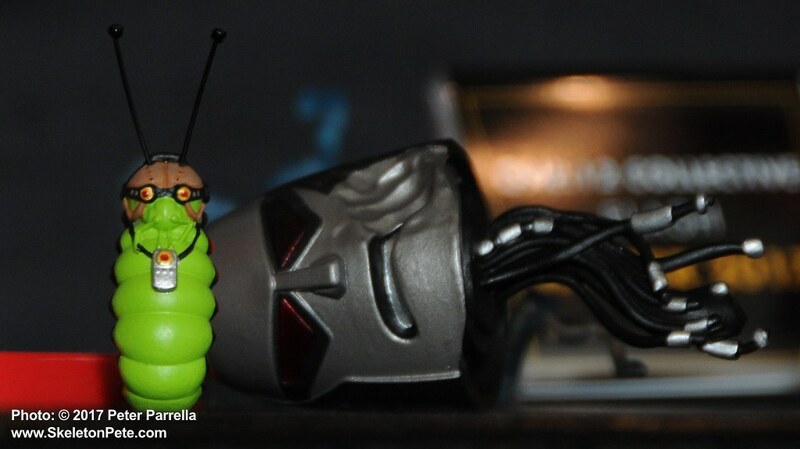 One:12 Collective “Suicide Squad” version. 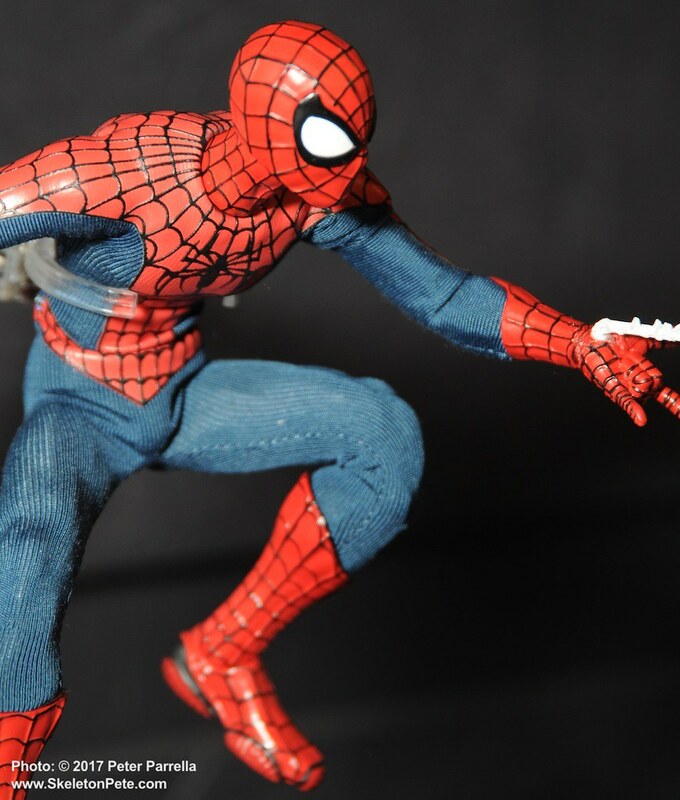 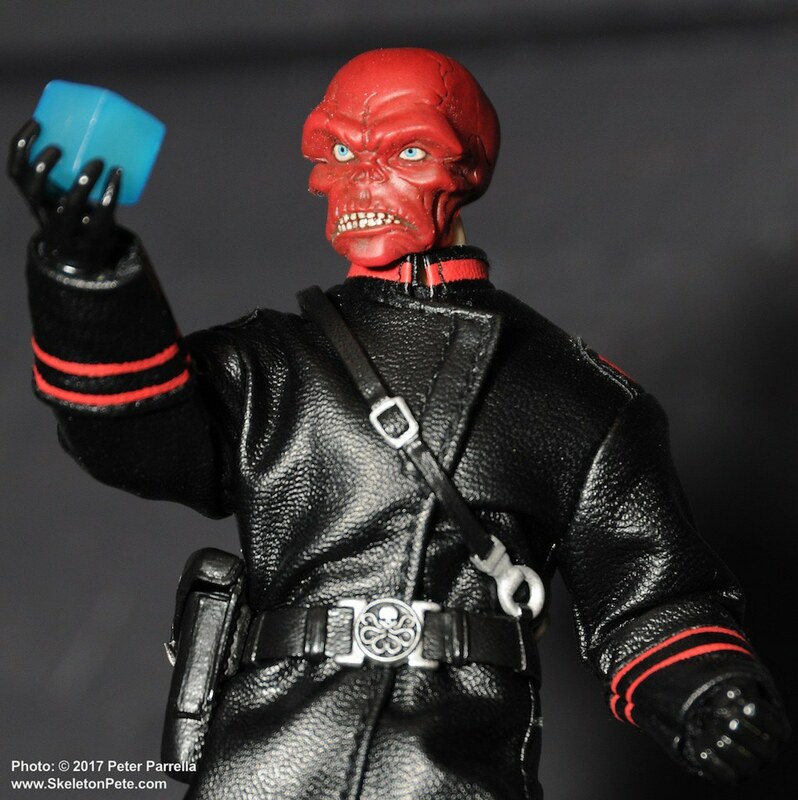 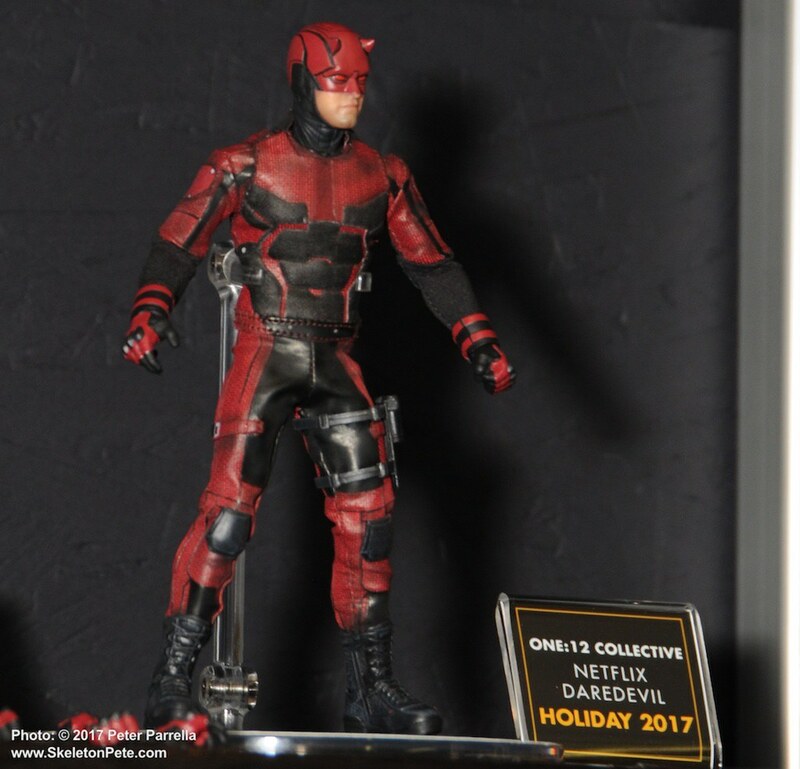 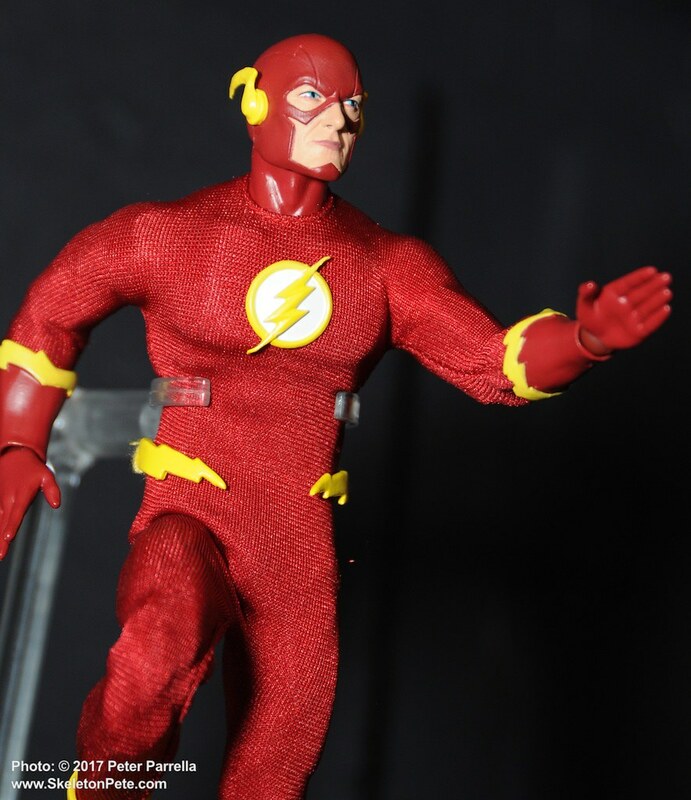 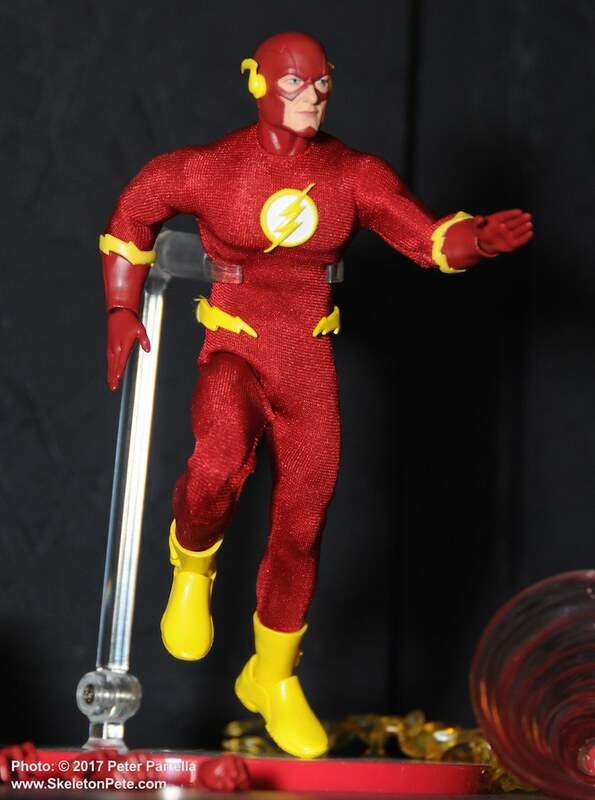 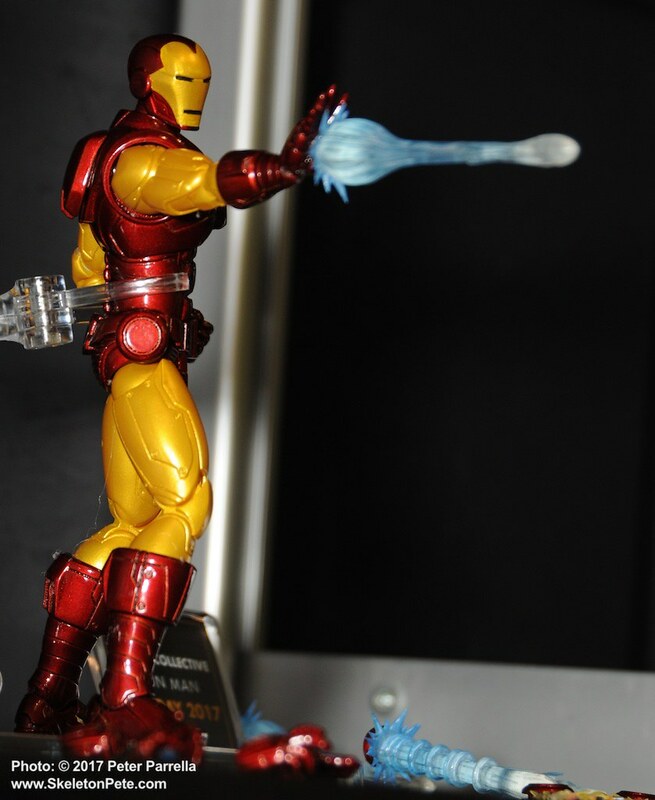 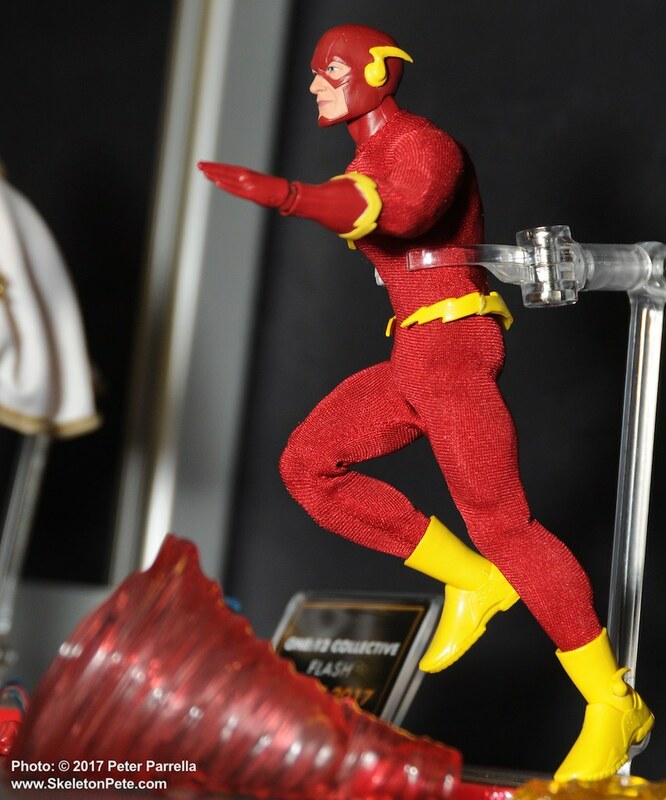 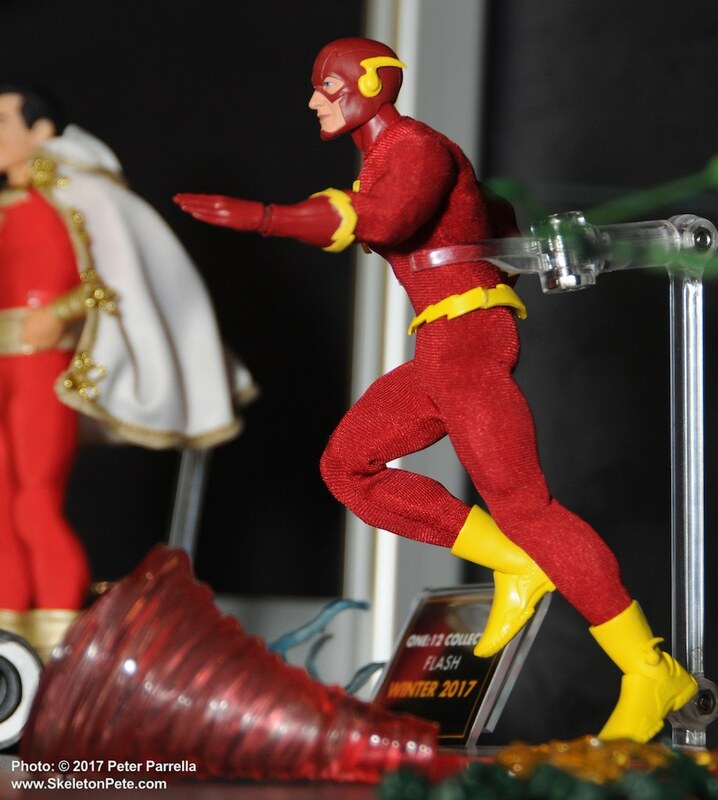 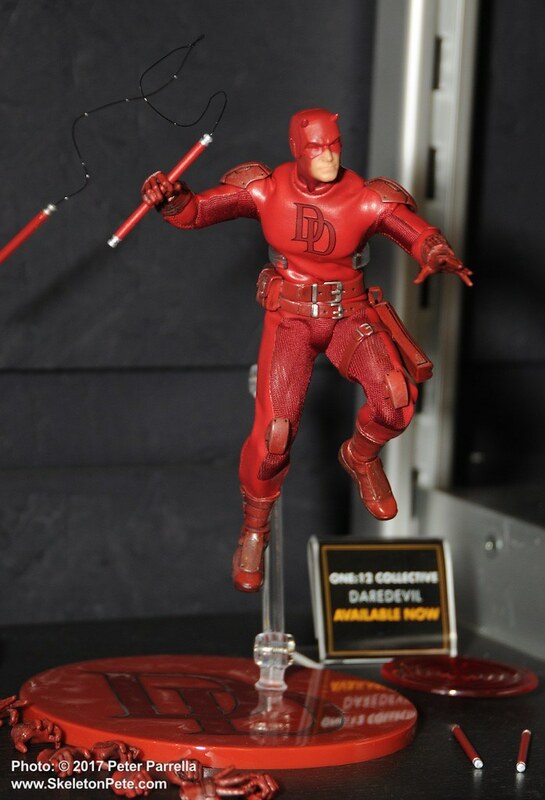 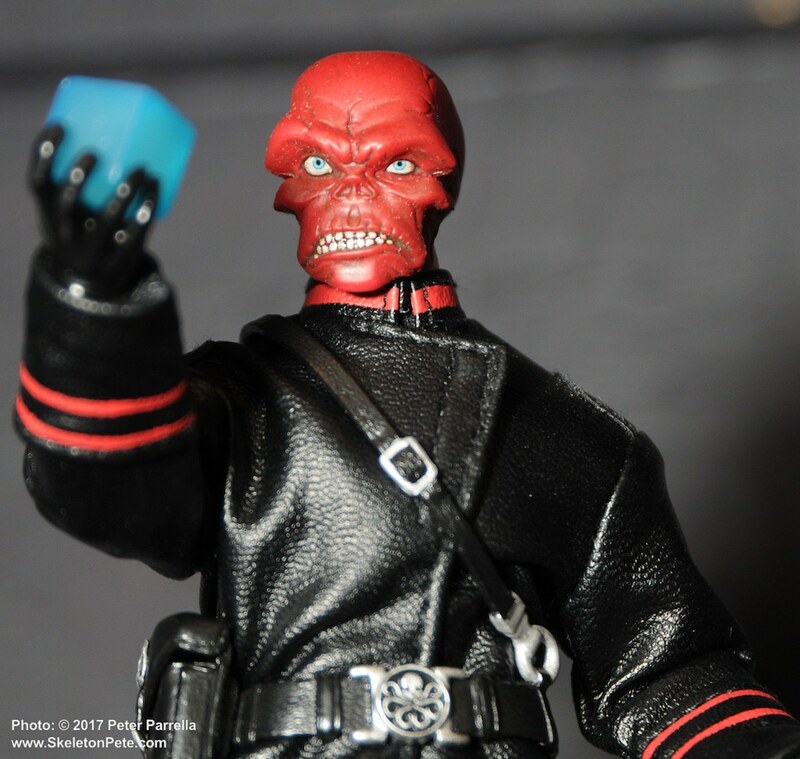 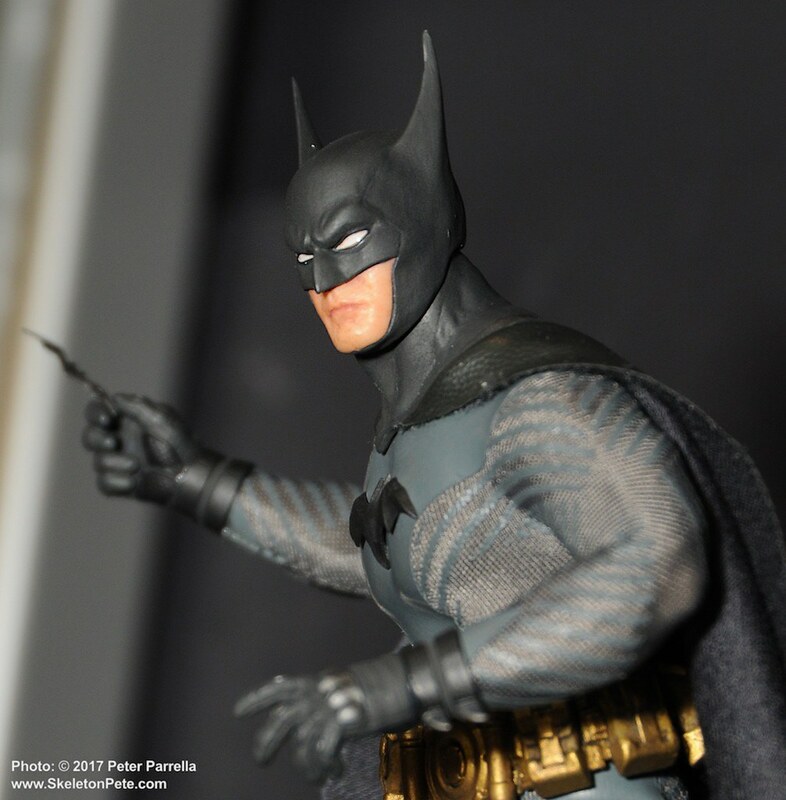 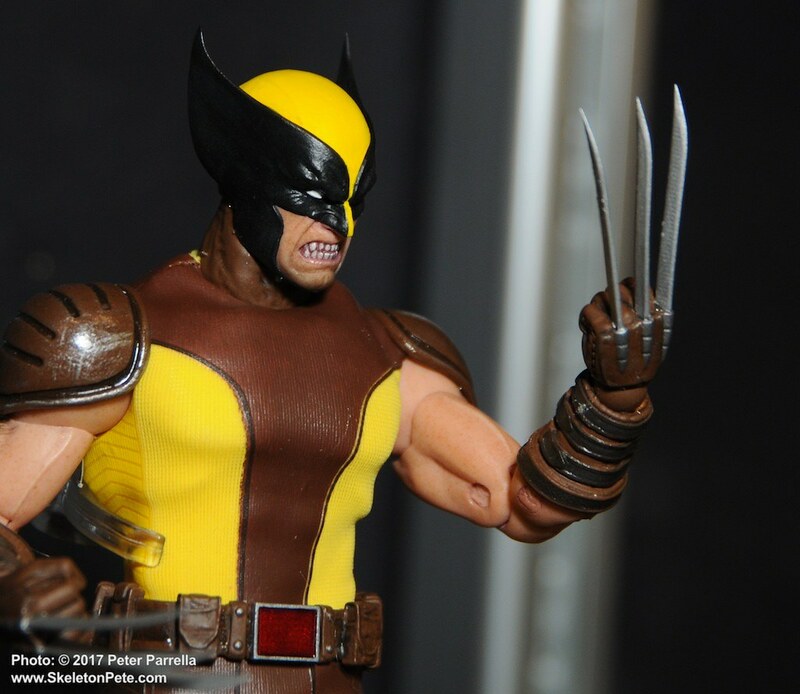 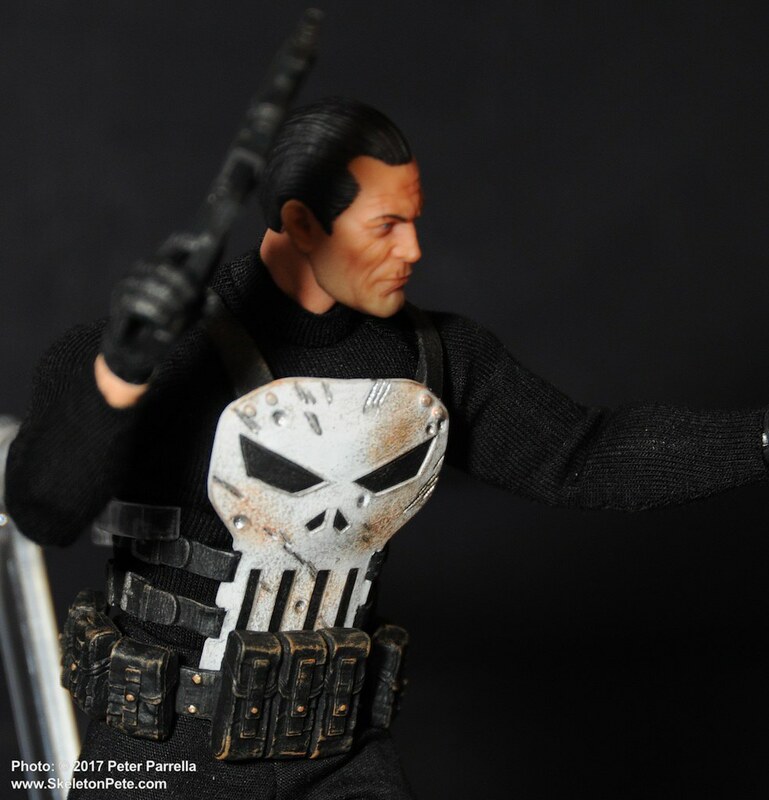 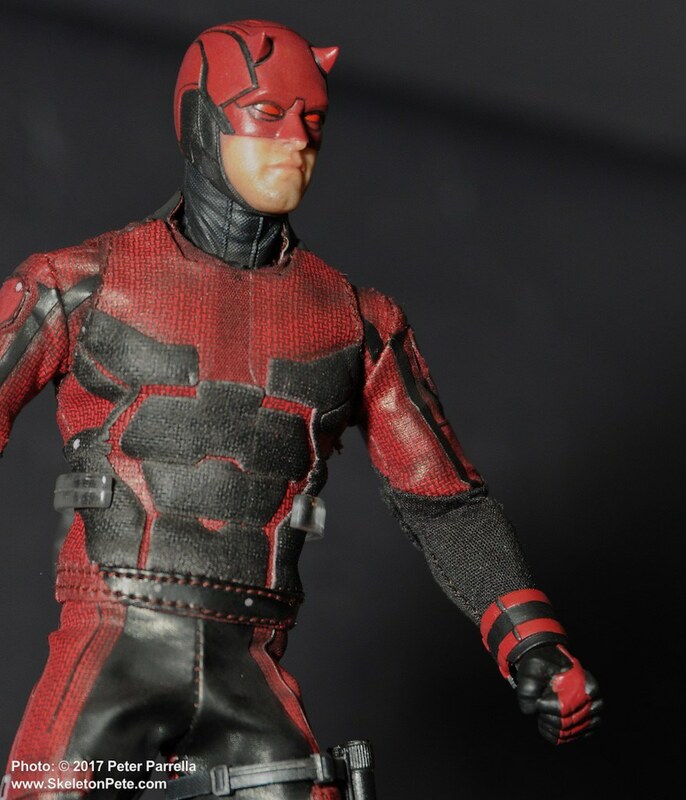 The modular nature of the product line allows the company to offer multiple versions of characters like Captain America, Daredevil and The Flash and also to dive deeper into the nooks and crannies of pop culture than ever before. 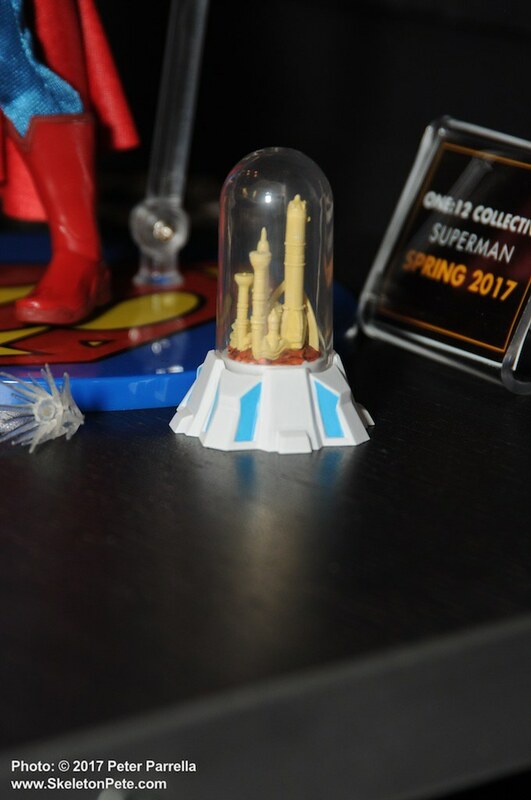 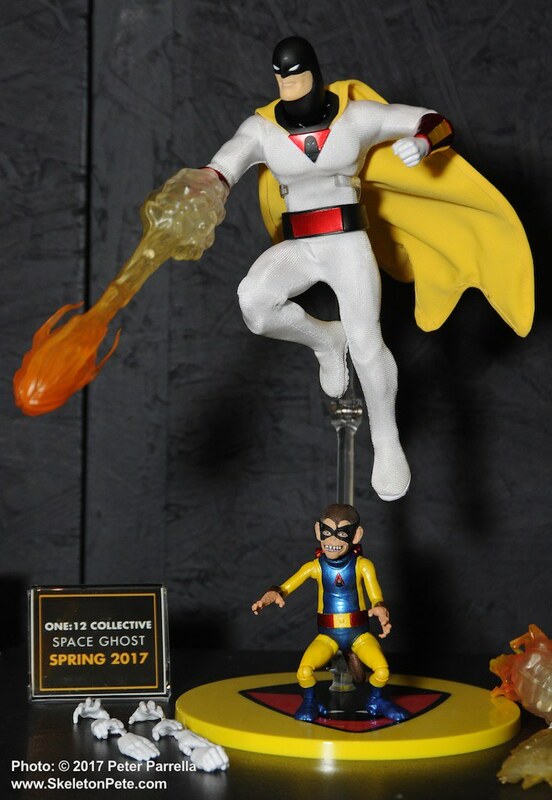 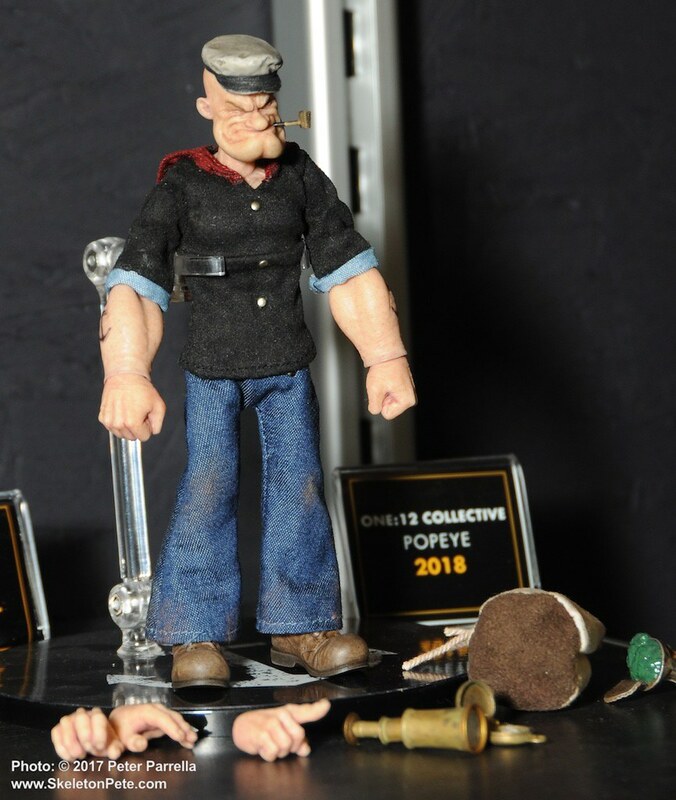 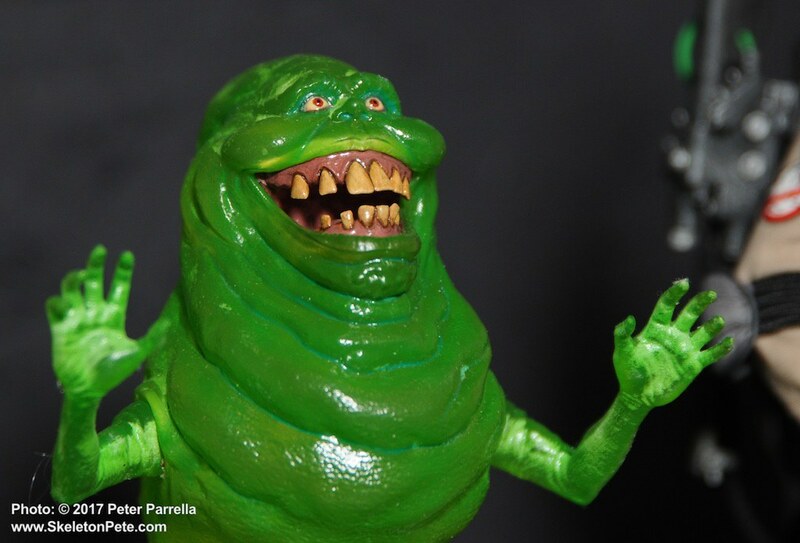 So, while we are treated to an array of classic DC and Marvel Comics characters we also get a chance to own the slightly left of center Space Ghost and Popeye, which was an unexpected and welcome surprise. 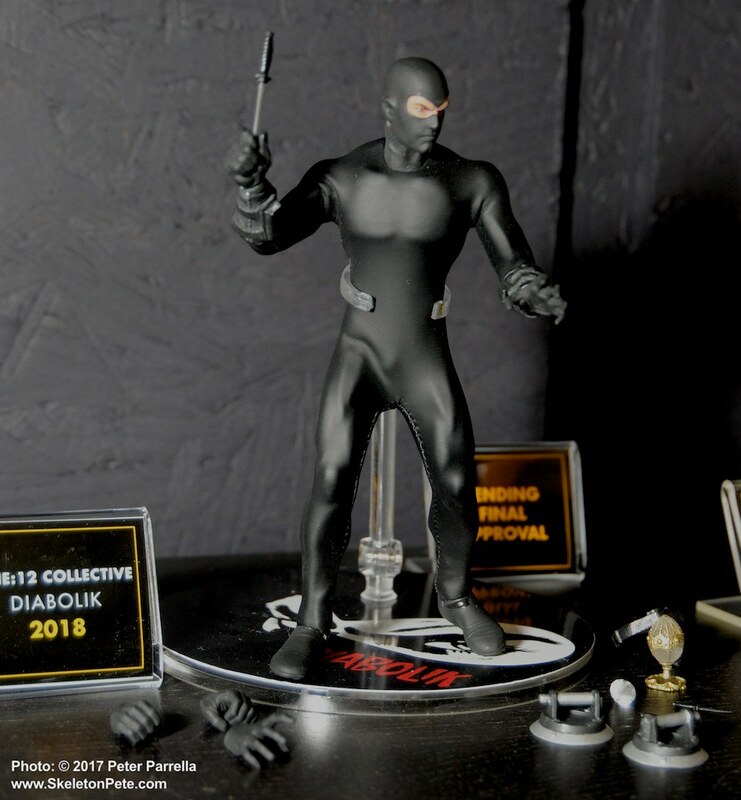 Super criminal Diabolik shows off his dangerous knife wielding skills. 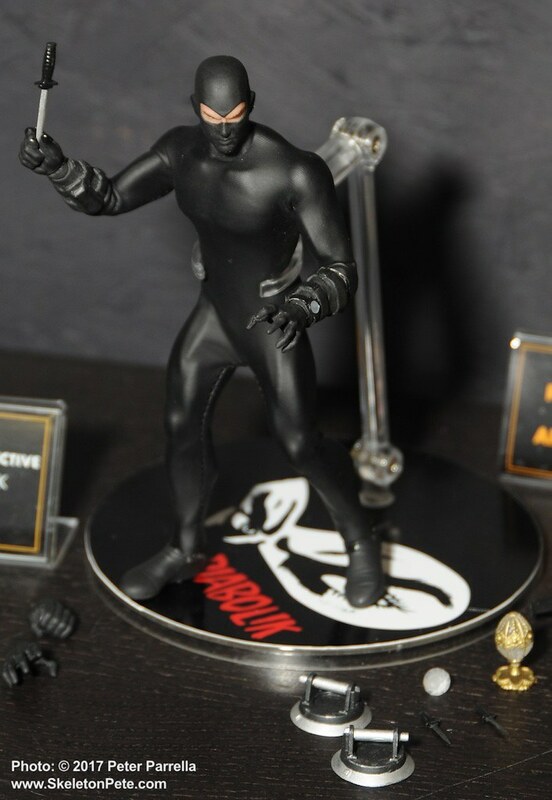 Your space age bachelor pad (that’s a 1960’s “man-cave”) won’t be complete without the outre cool Diabolik, the duplicitous pulp comic hero/criminal created by Angela and Luccianna Giussani and brought to the screen in Mario Bava’s 1968 action flick Danger: Diabolik. 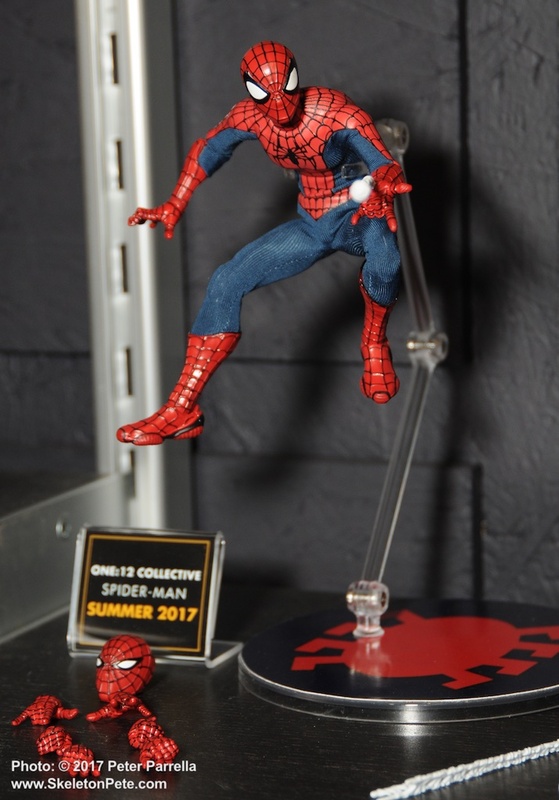 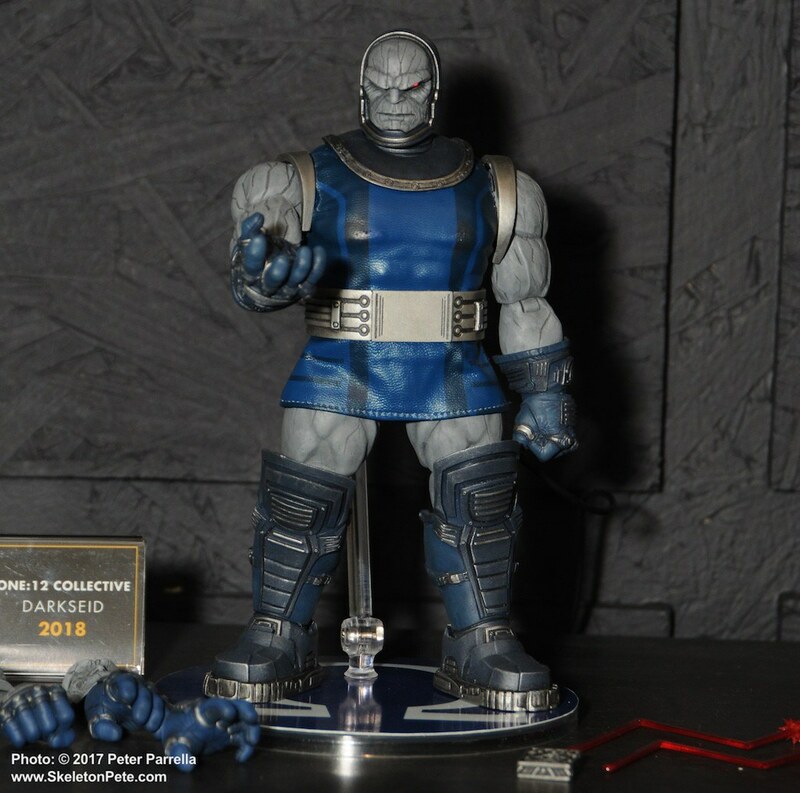 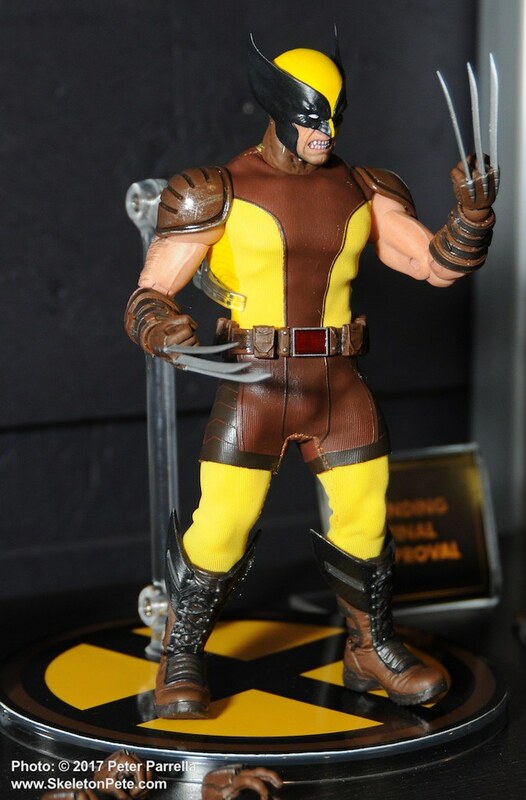 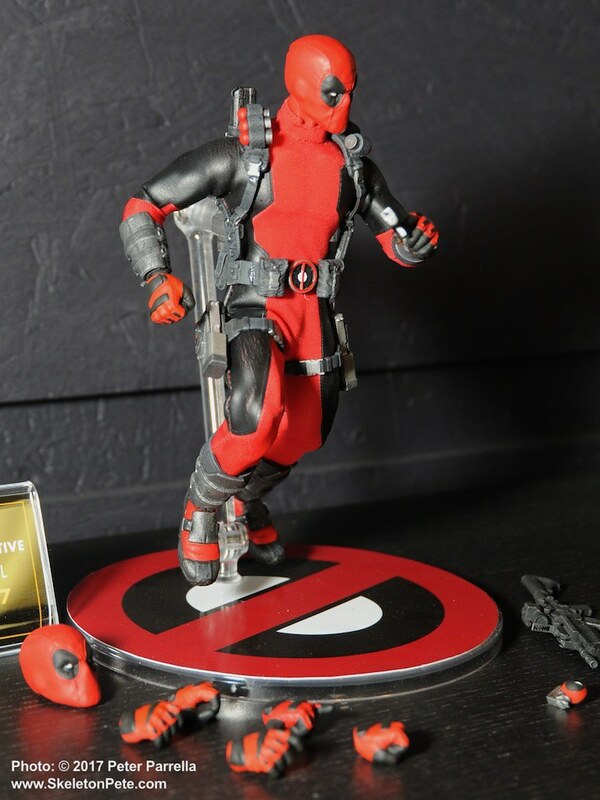 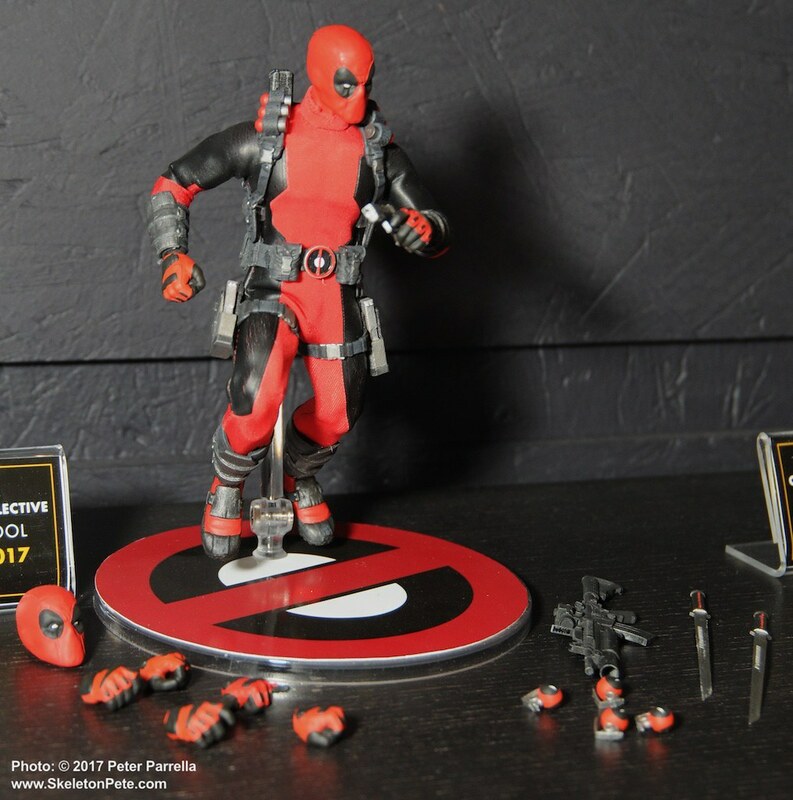 Seeing this character on display at NY Comic Con last fall made me realize that anything was possible in this product line. 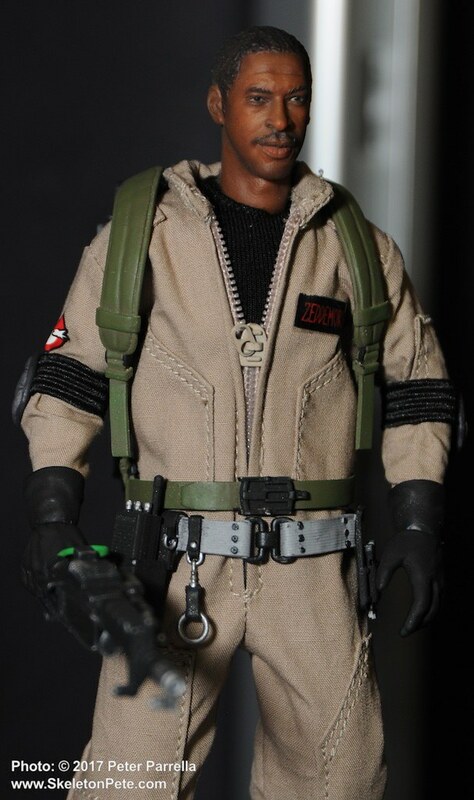 Thanks Mr. Mez. 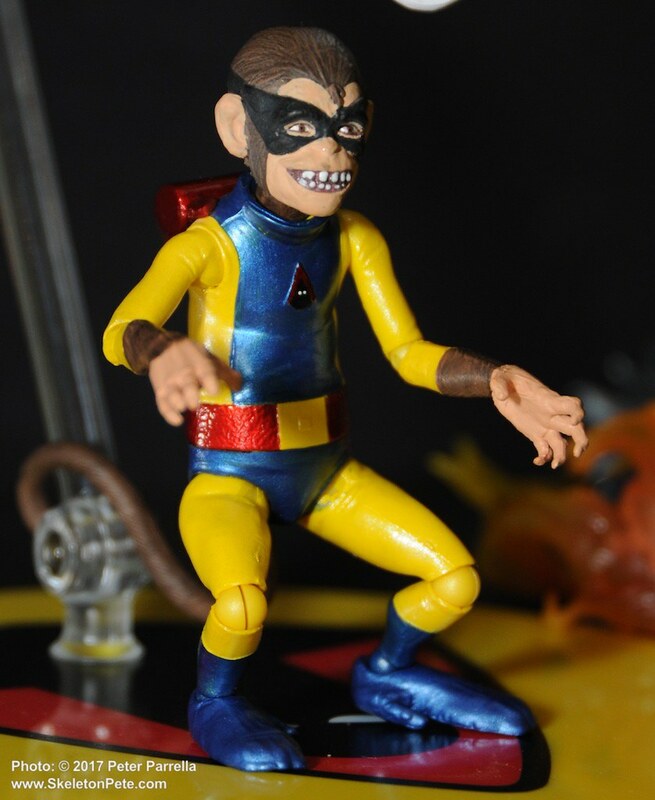 BTW, since we’re dipping into 1960’s Euro comic and film characters I’ll put in my bid for a Barbarella (and the angelic Pygar for good measure) – please, please, please. 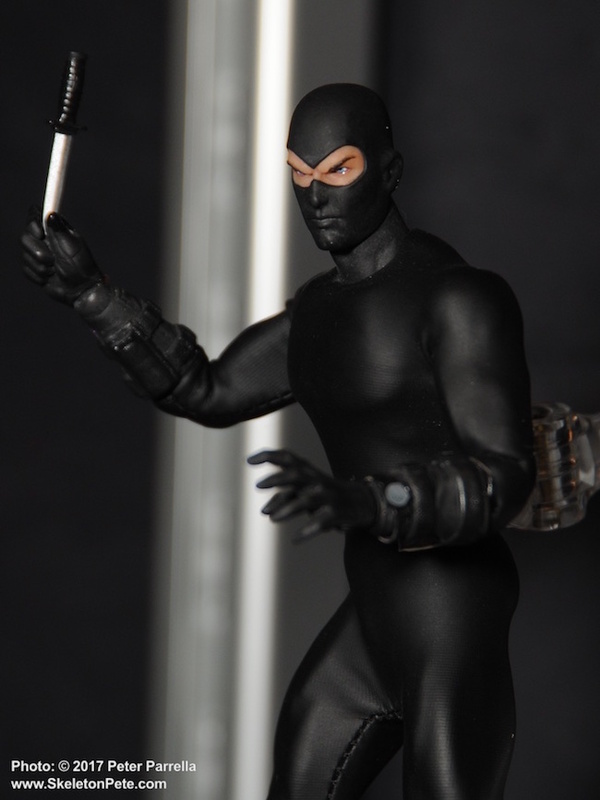 If you’ve never seen Danger:Diabolik, you owe yourself a view. 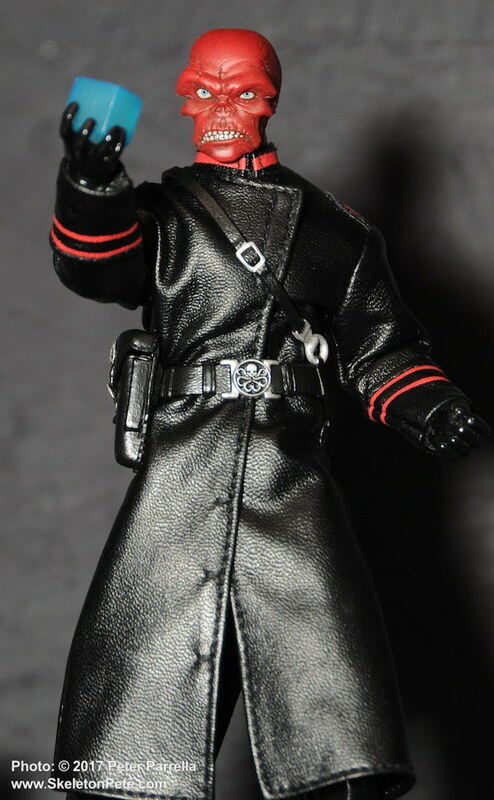 It is the epitome of 1960’s Euro-Psychedelic-Spy films. 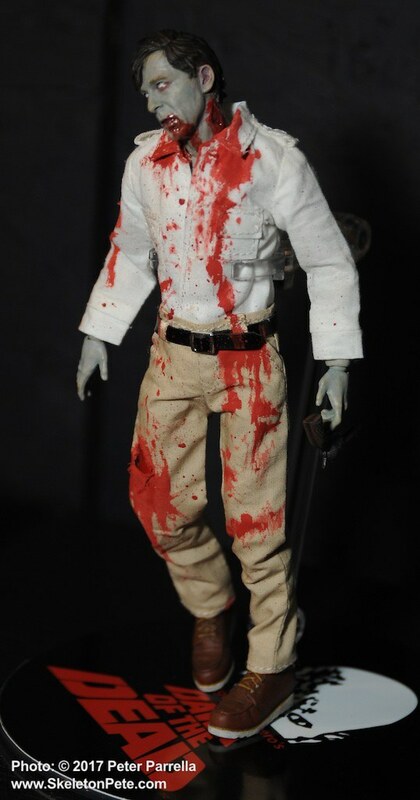 It’s ablaze with director Mario Bava’s color design and maestro Ennio Morricone’s soundtrack is one of my favorites. 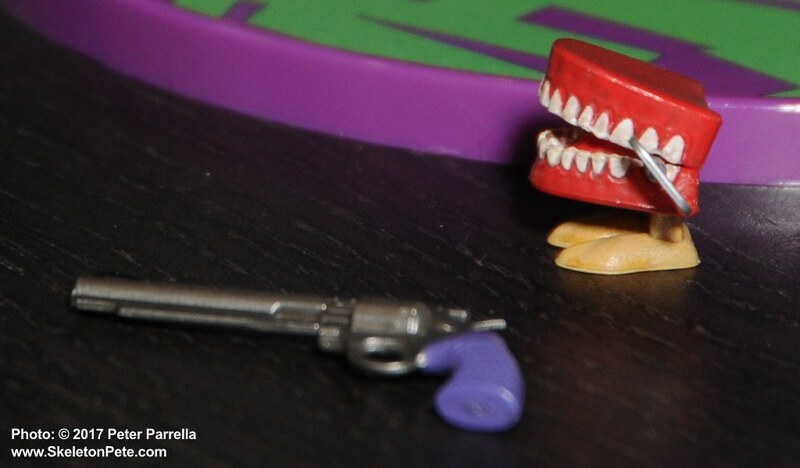 For aficionados I recommend Roman Coppola’s tongue in cheek CQ, (2002) which tells a fictionalized behind the scenes tale of the production of such a film with an awesome modern homage soundtrack by Mellow.